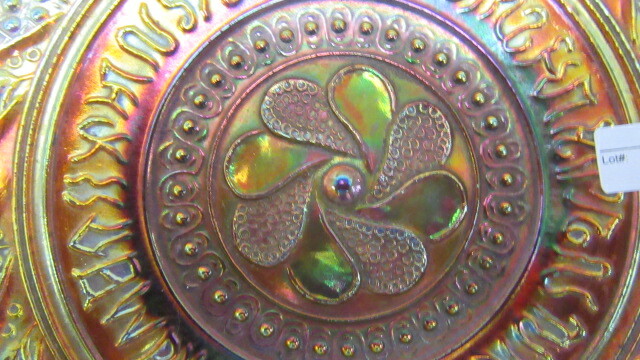 The squiggly lines on the inner ring resemble the brands used during a cattle roundup–thus the name. 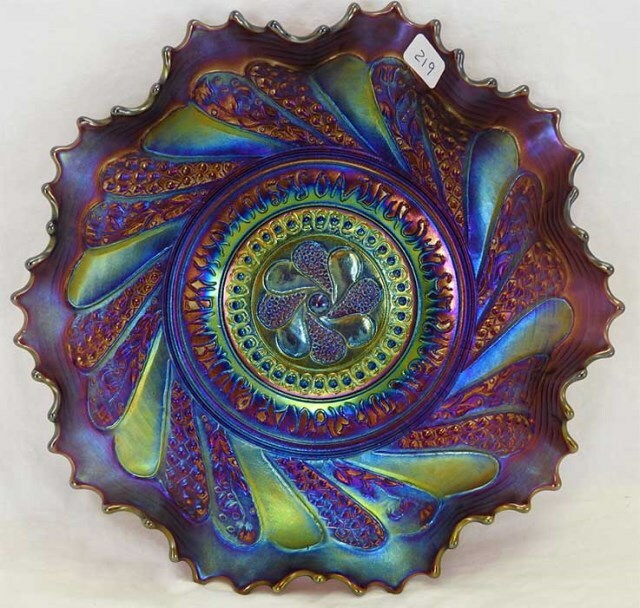 Roundup is found only in bowls and plates in a limited color range. 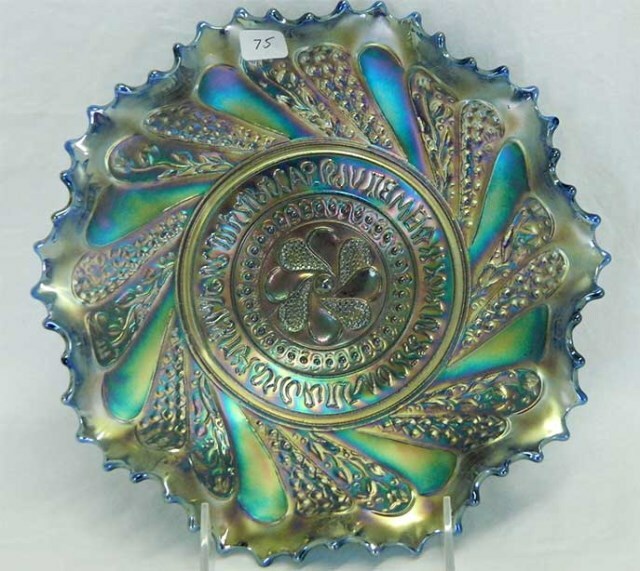 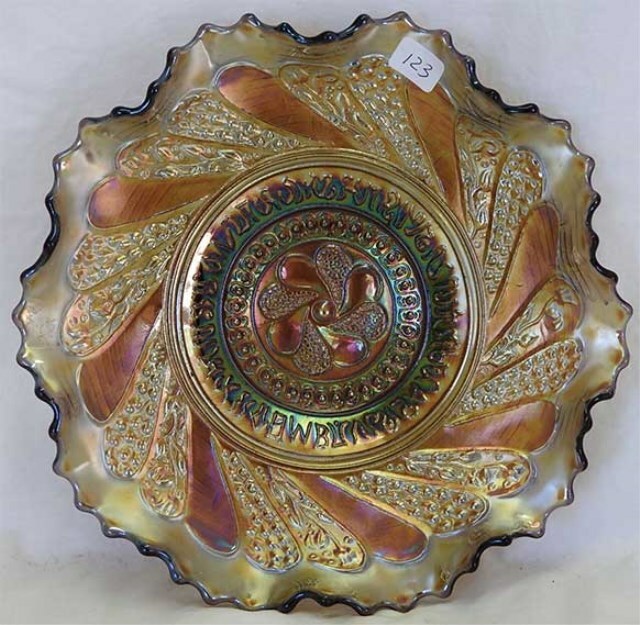 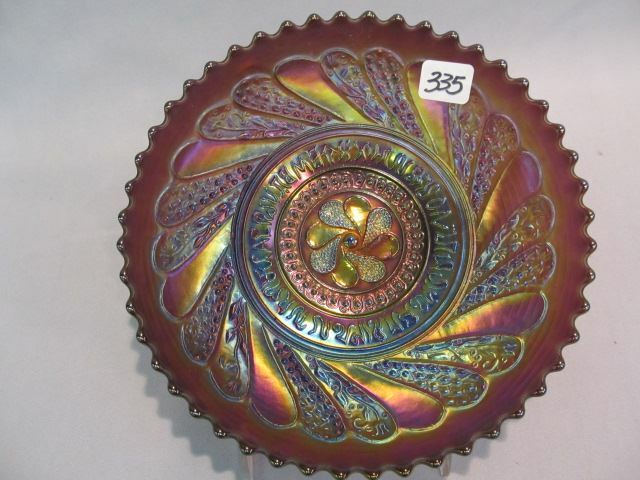 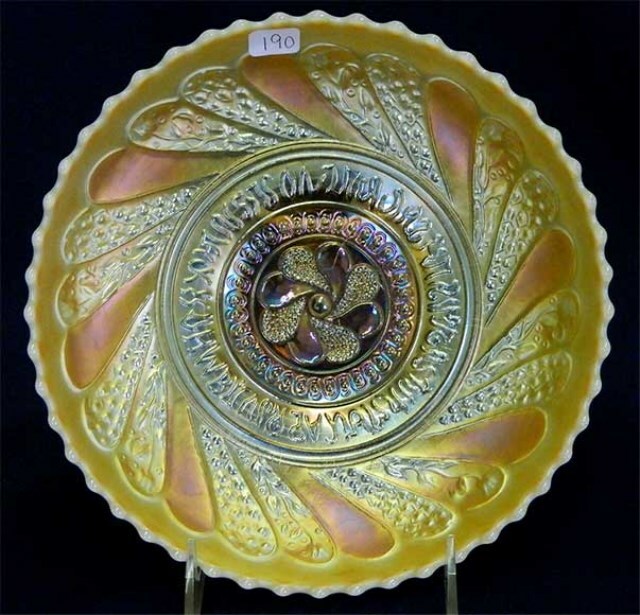 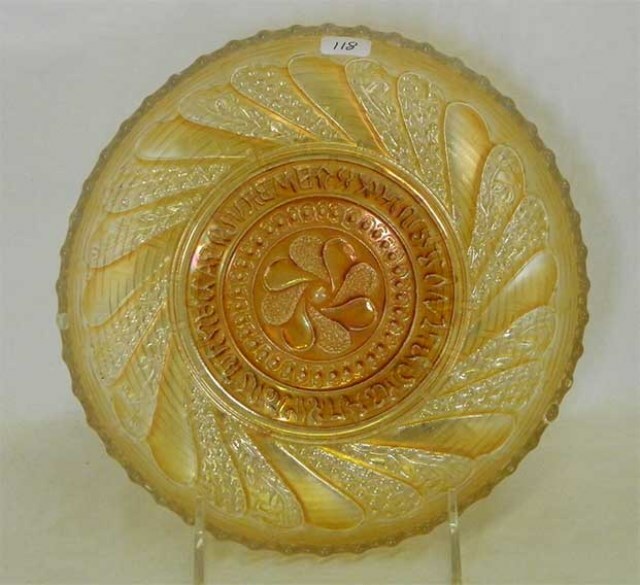 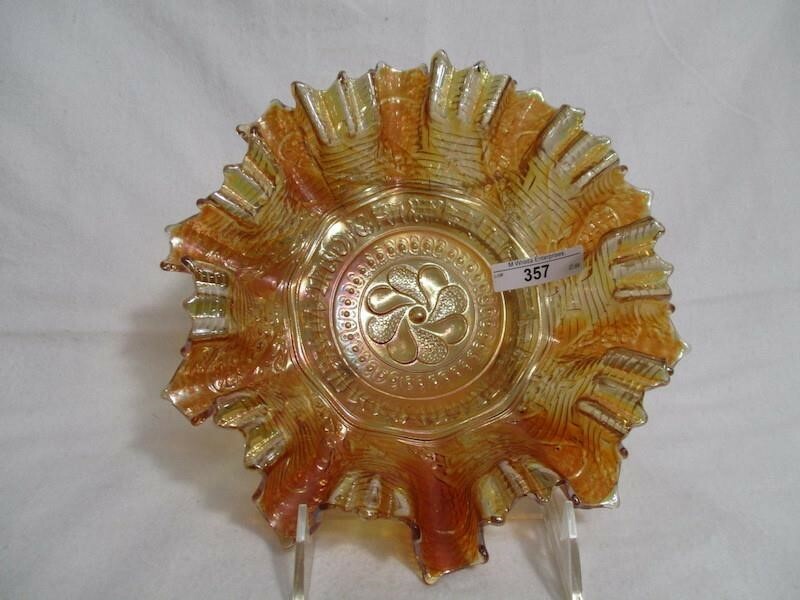 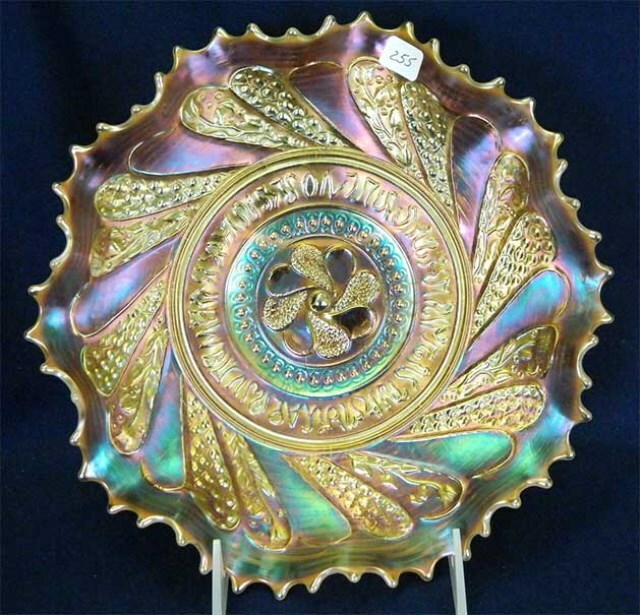 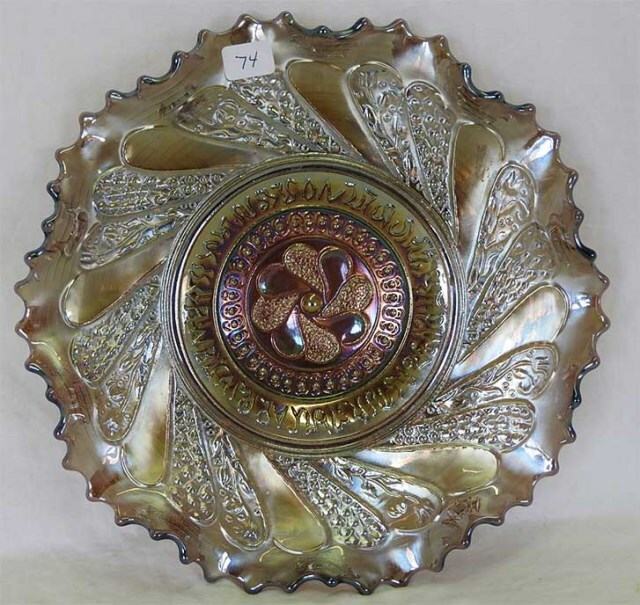 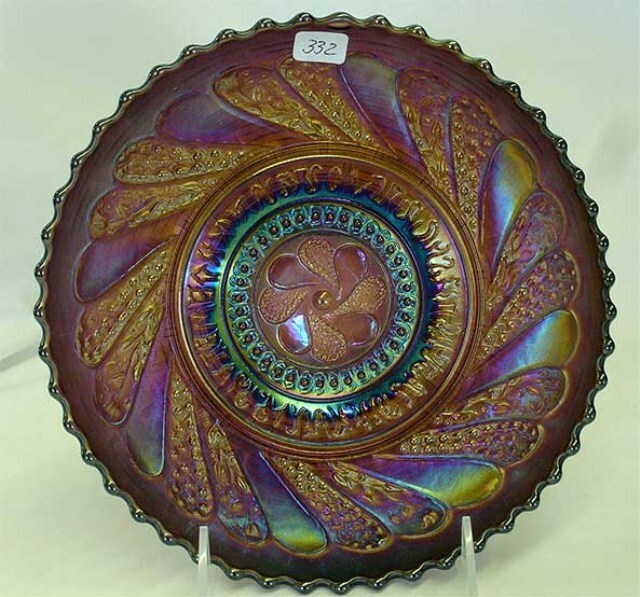 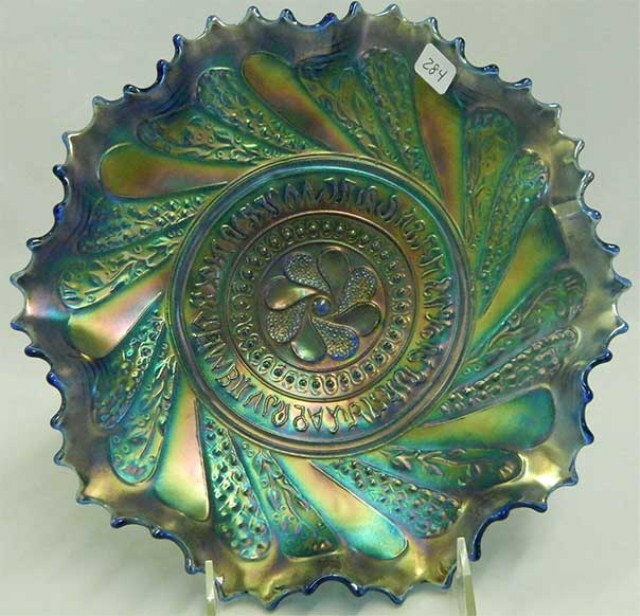 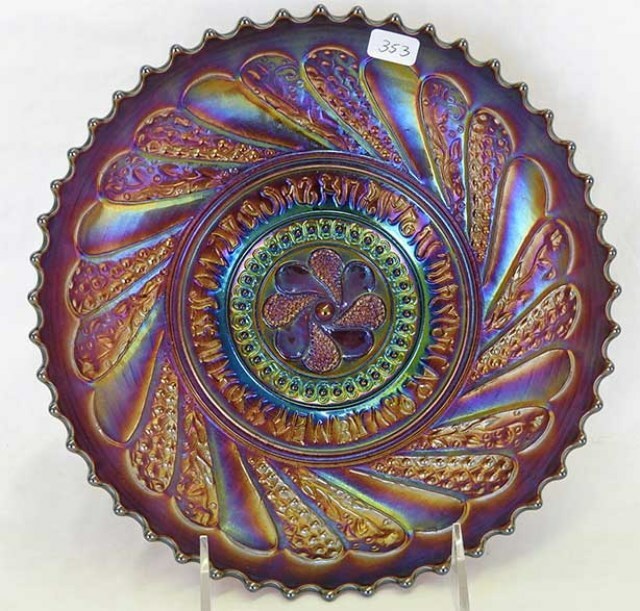 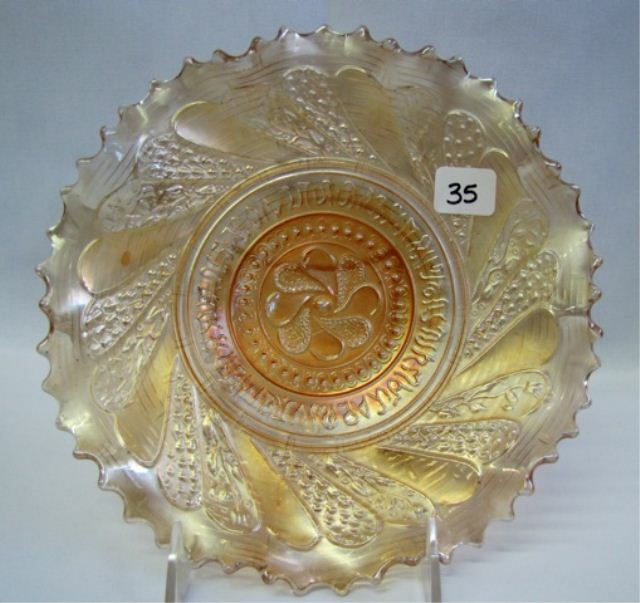 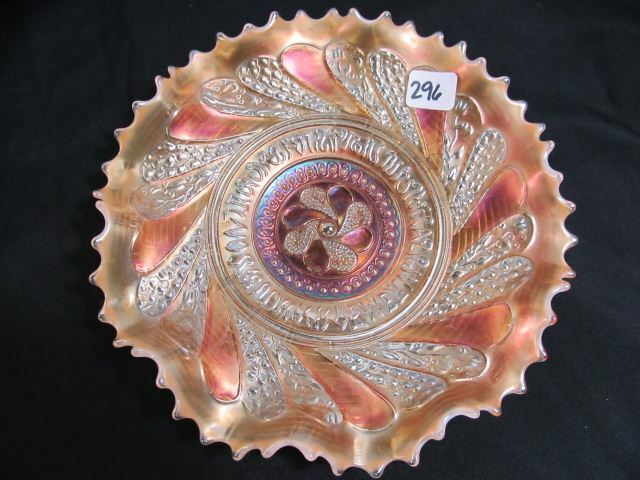 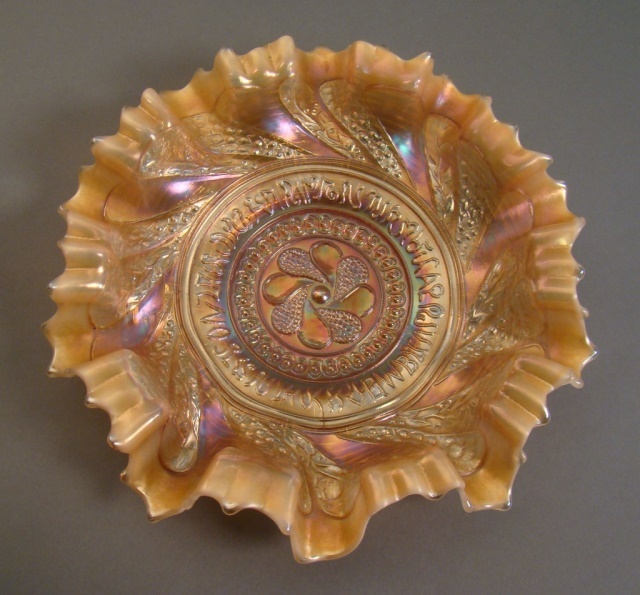 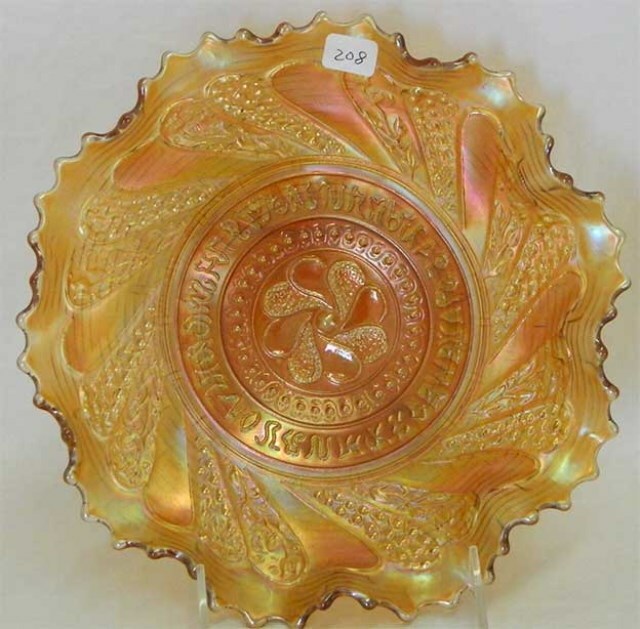 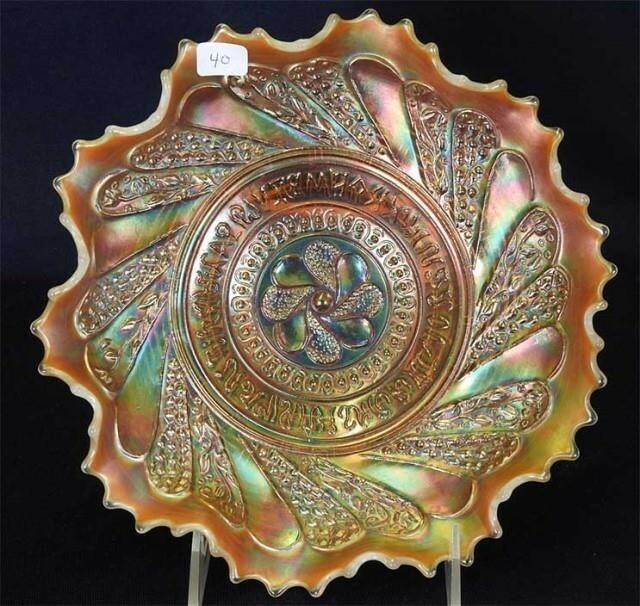 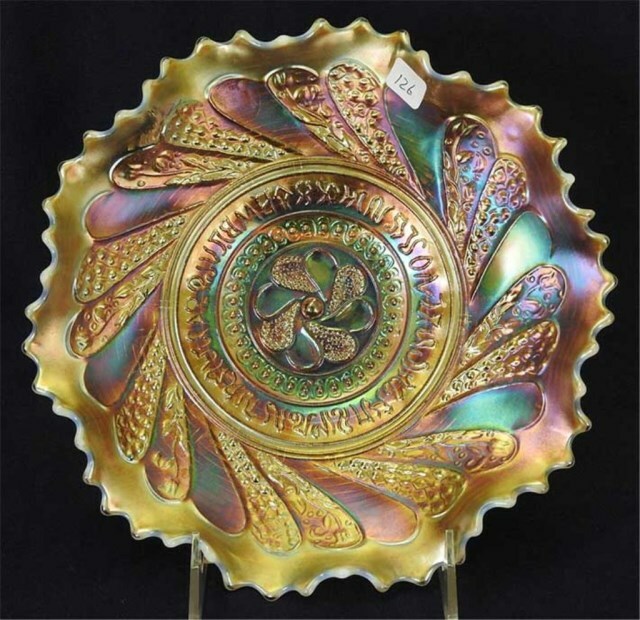 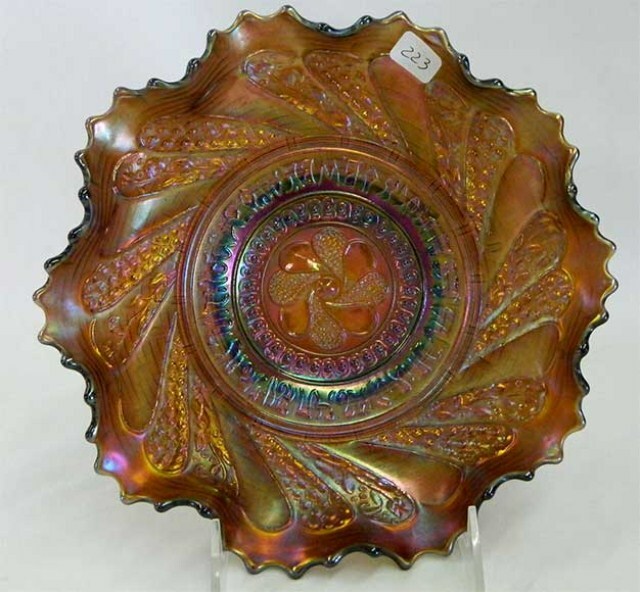 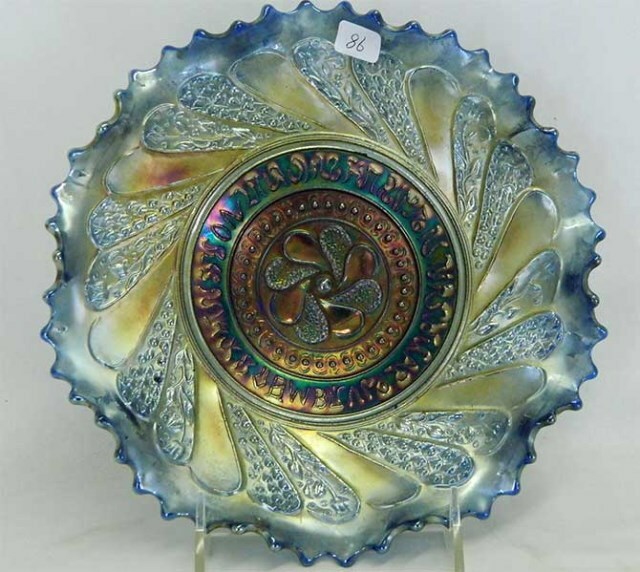 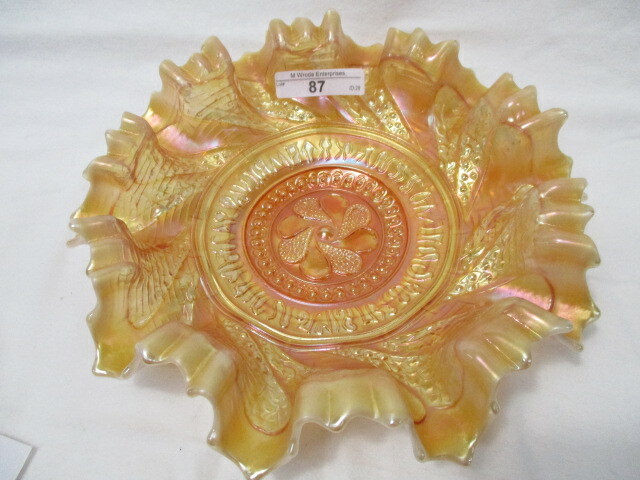 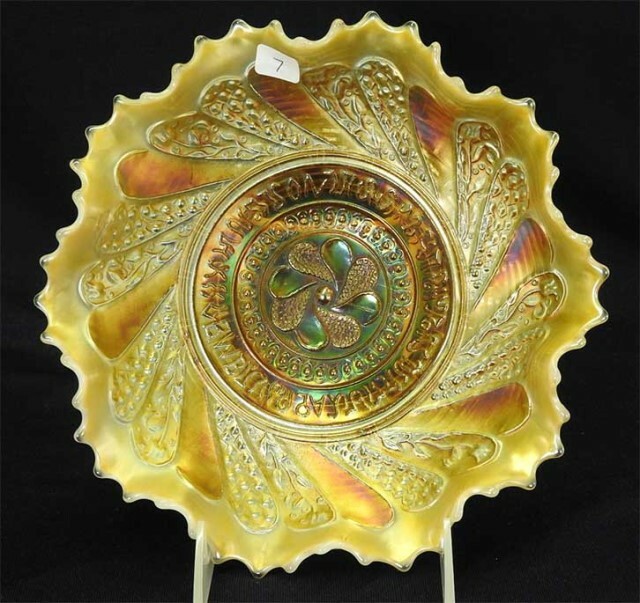 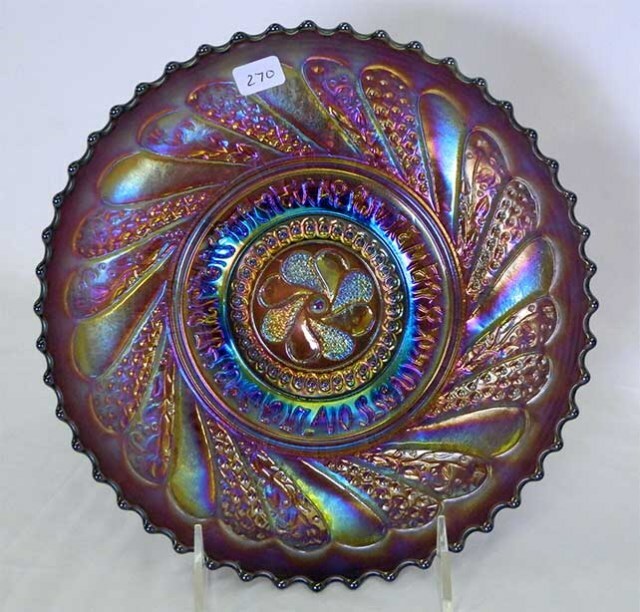 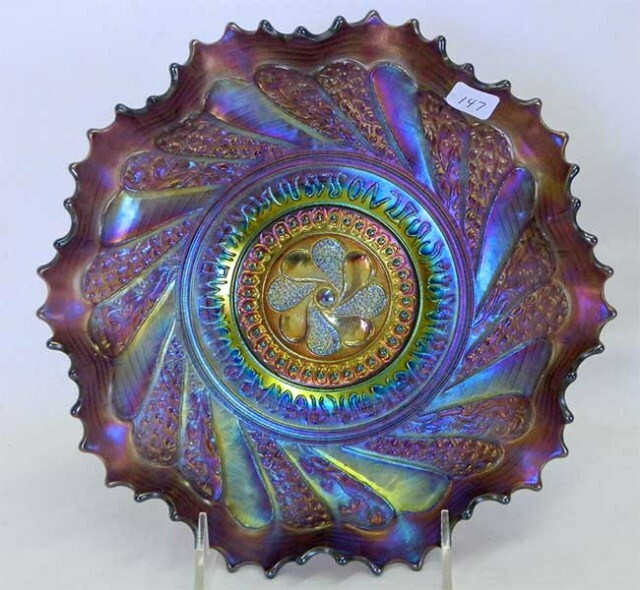 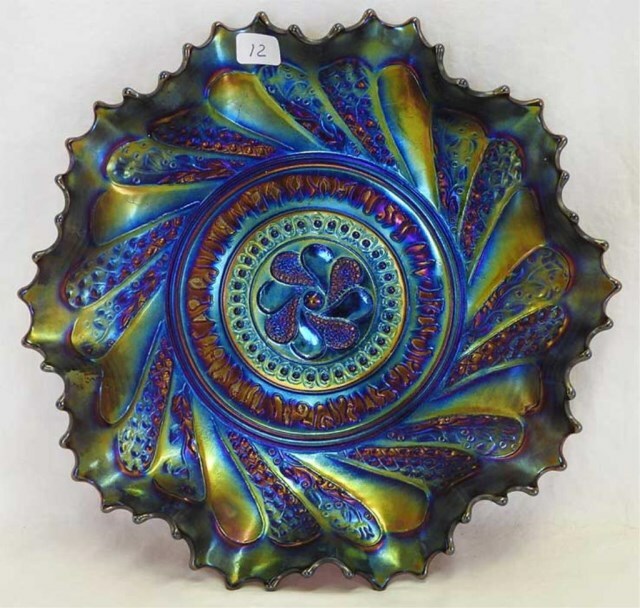 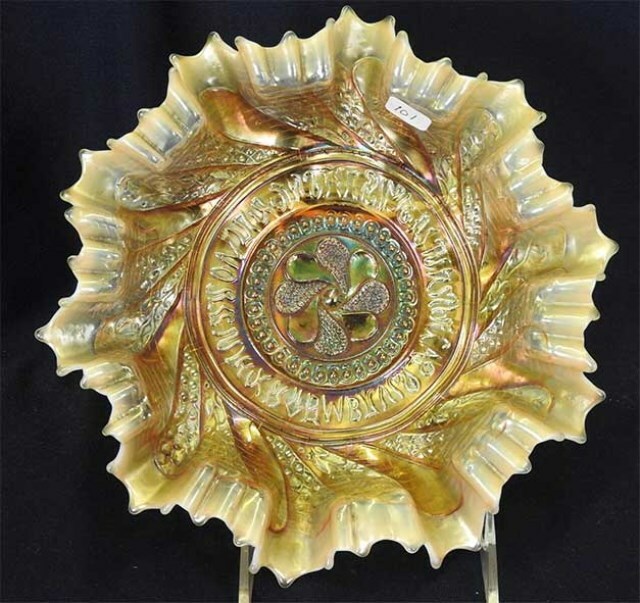 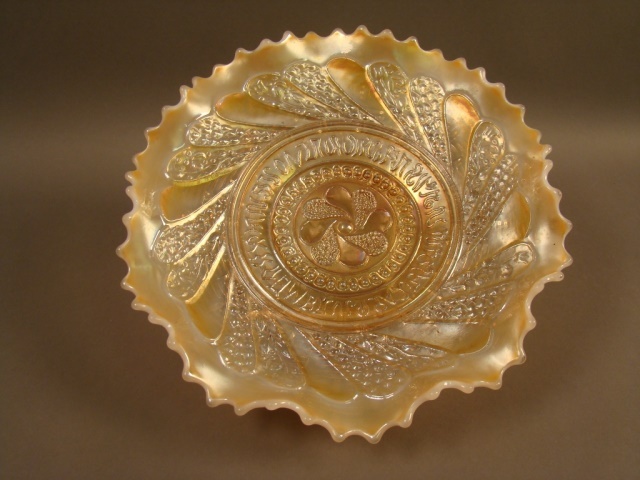 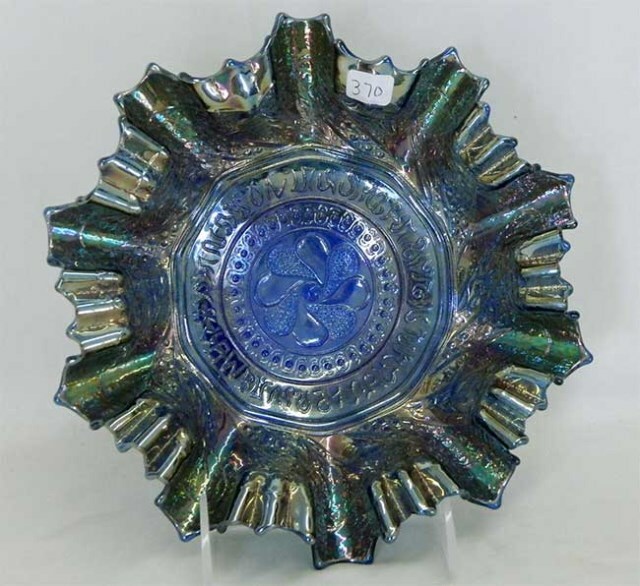 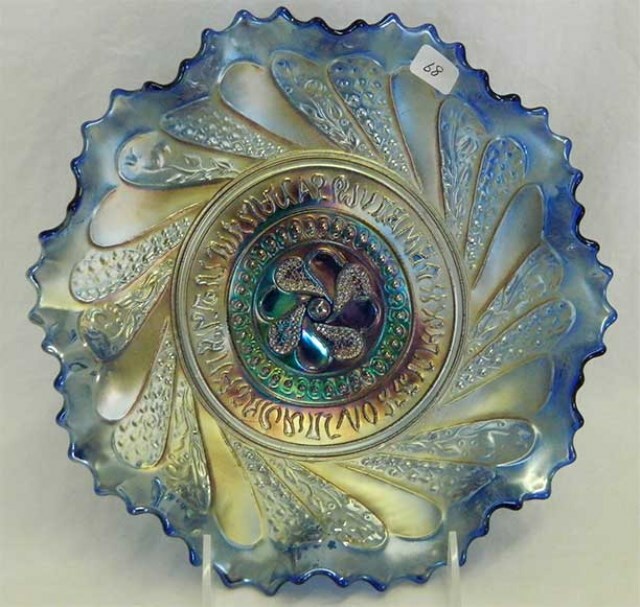 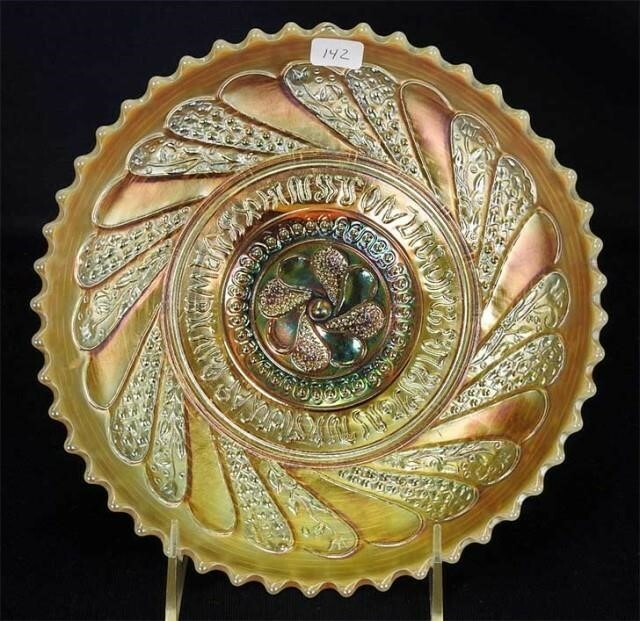 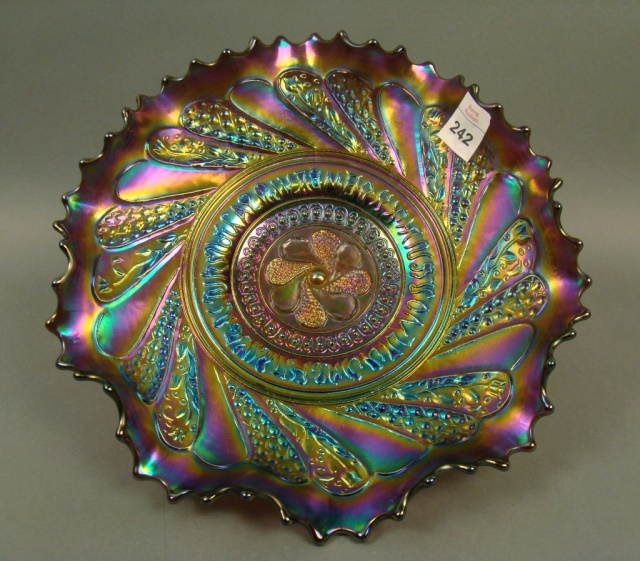 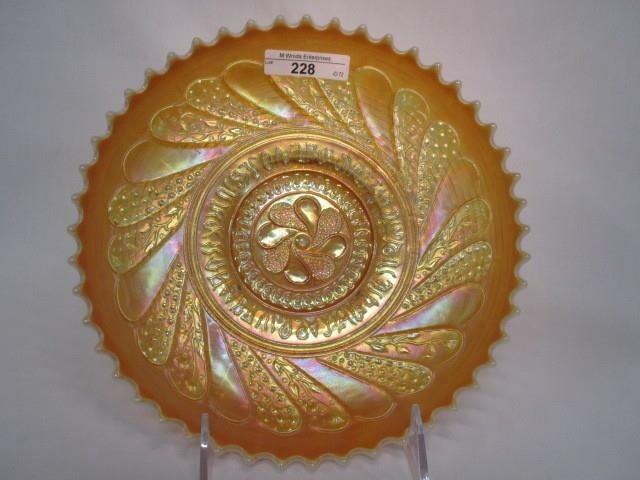 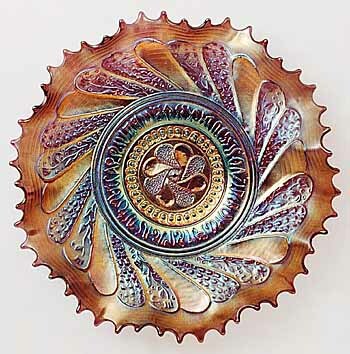 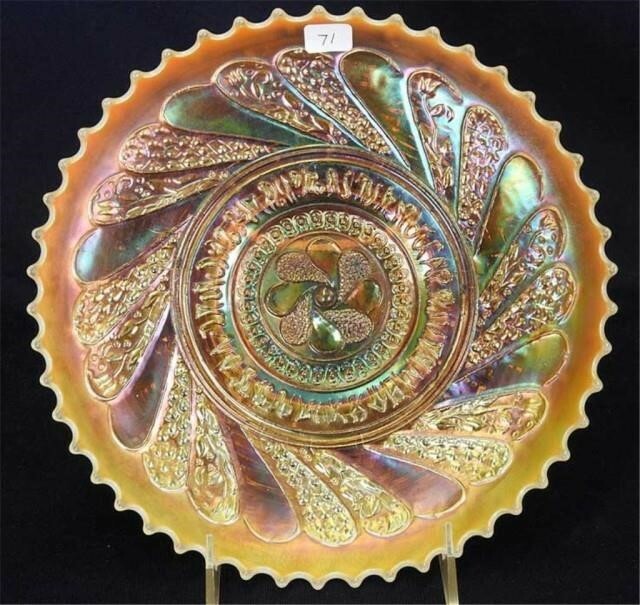 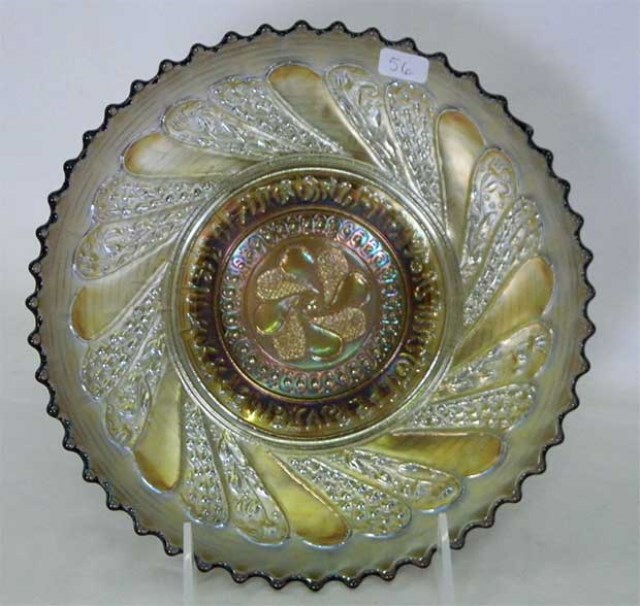 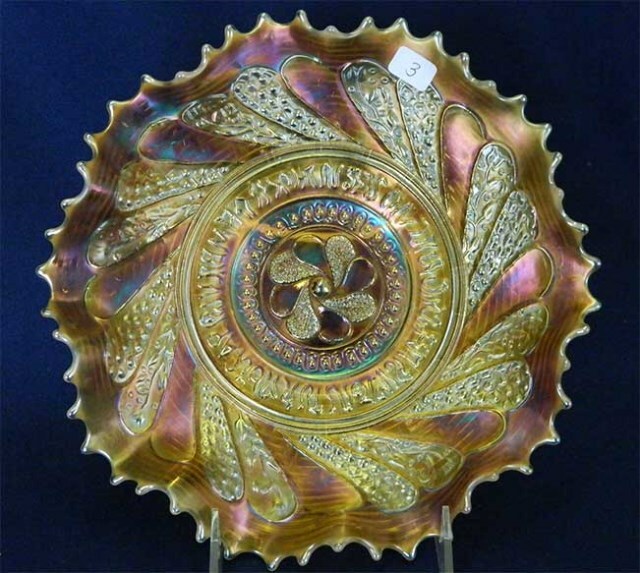 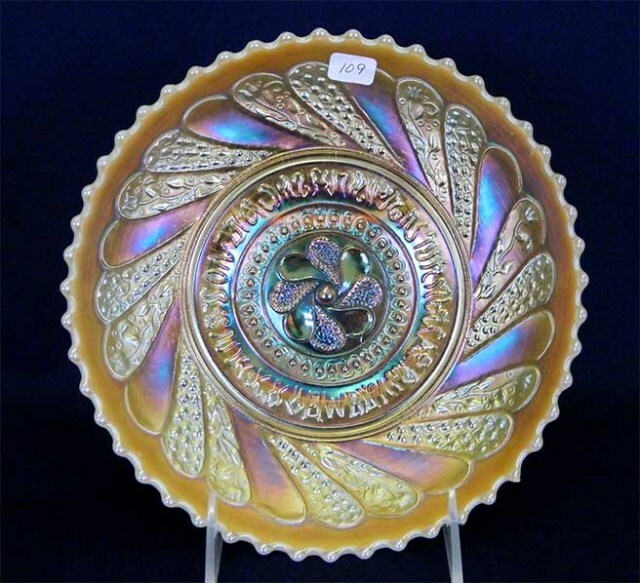 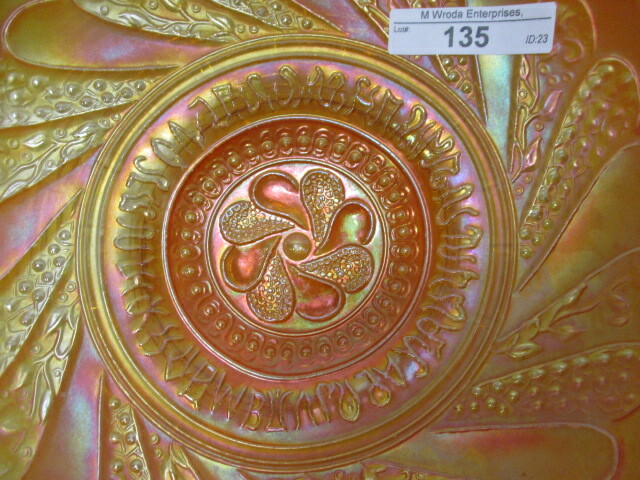 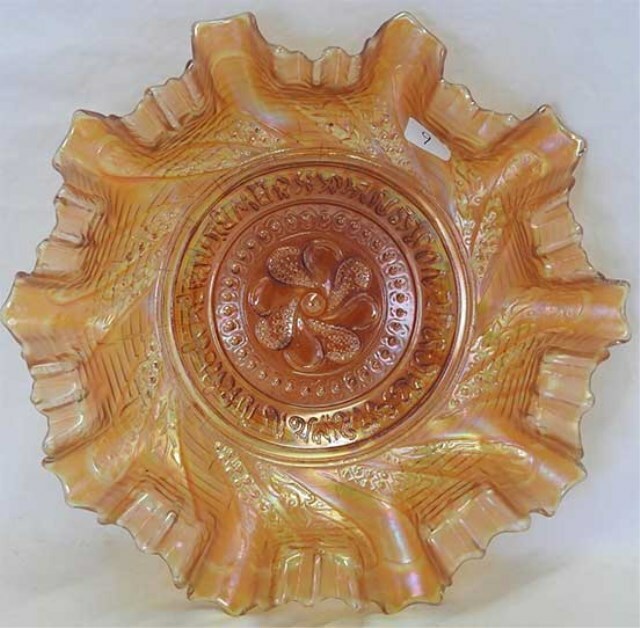 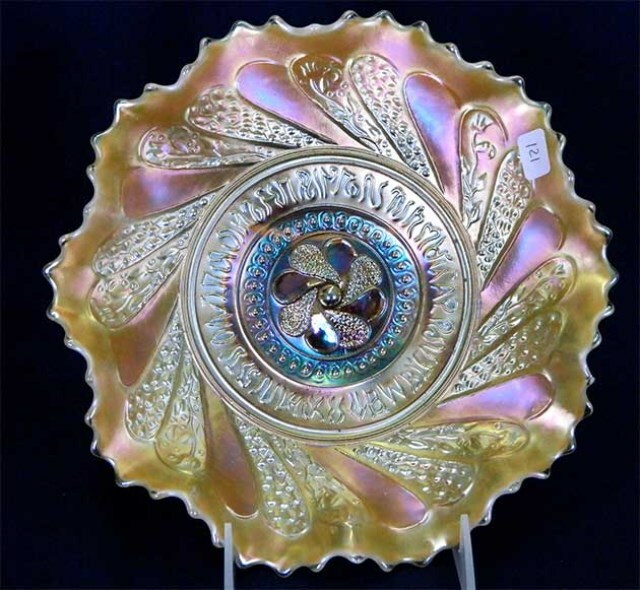 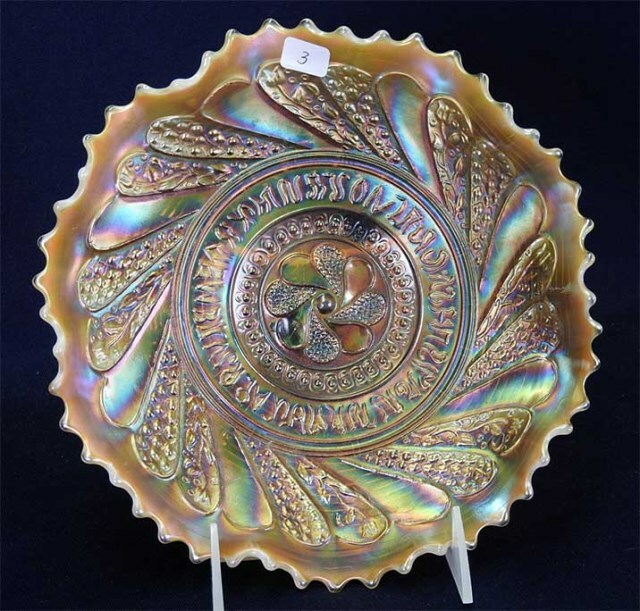 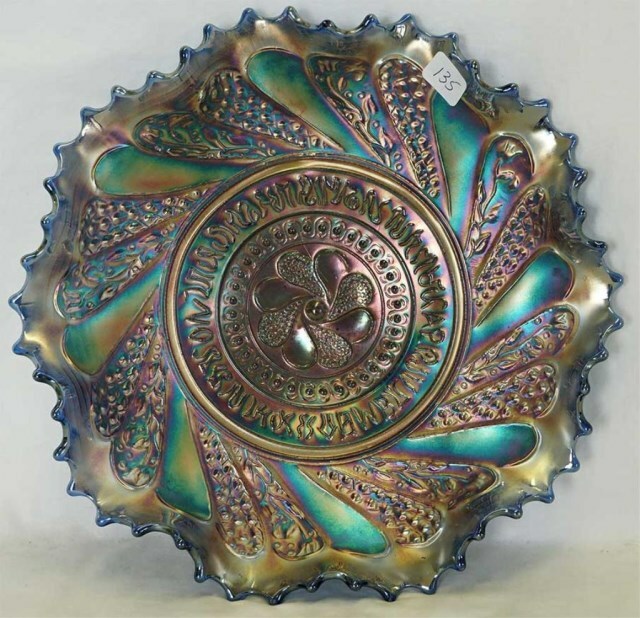 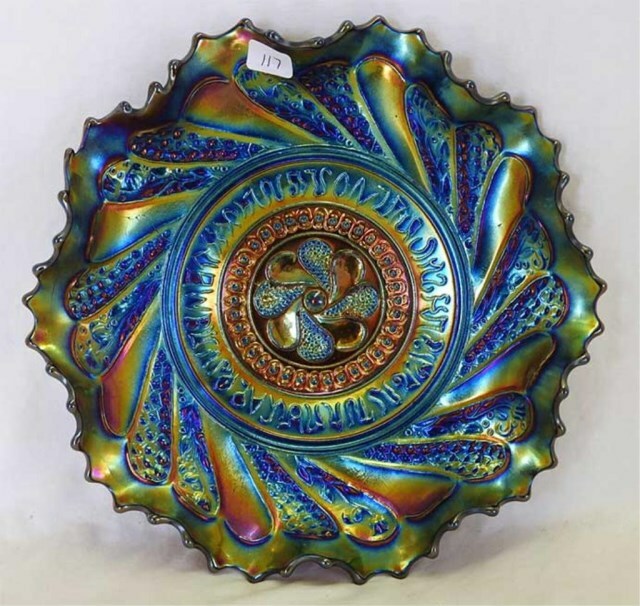 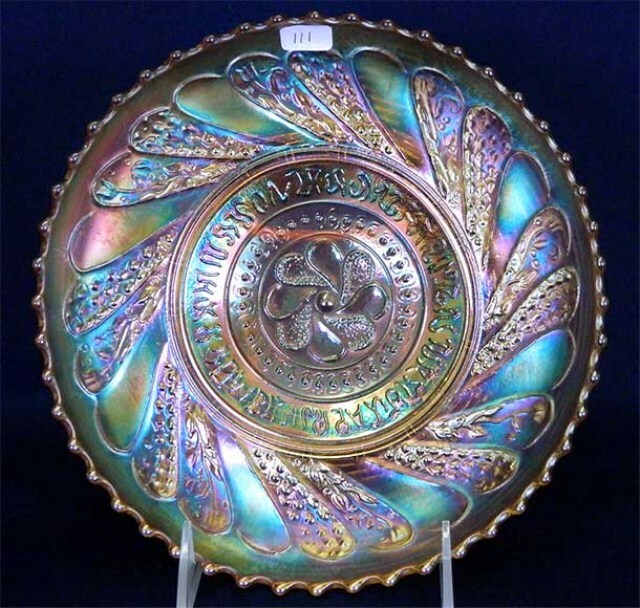 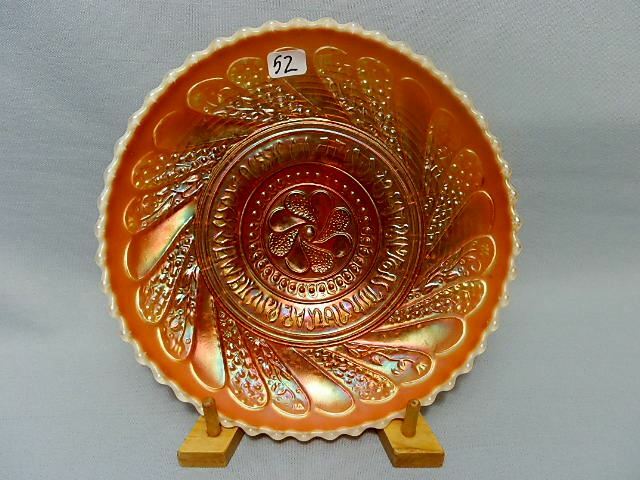 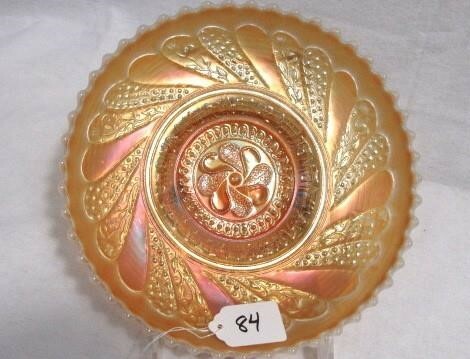 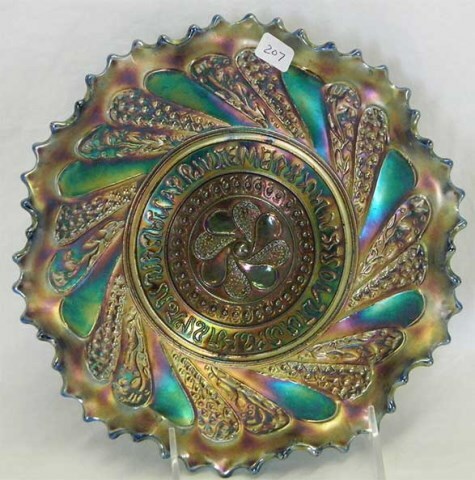 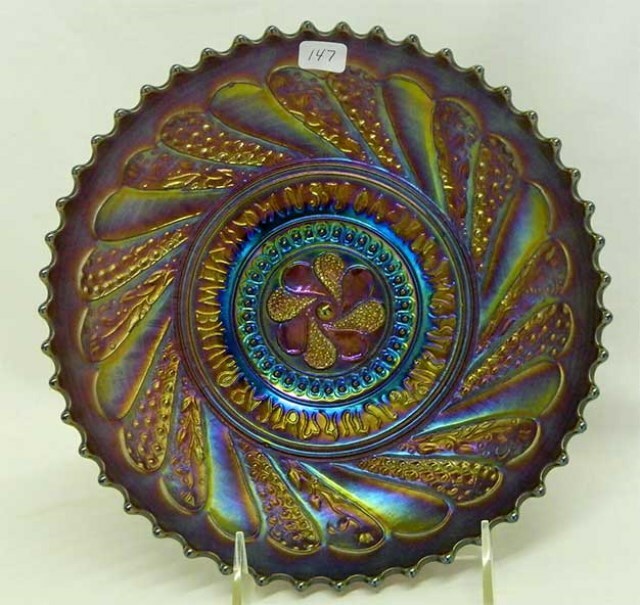 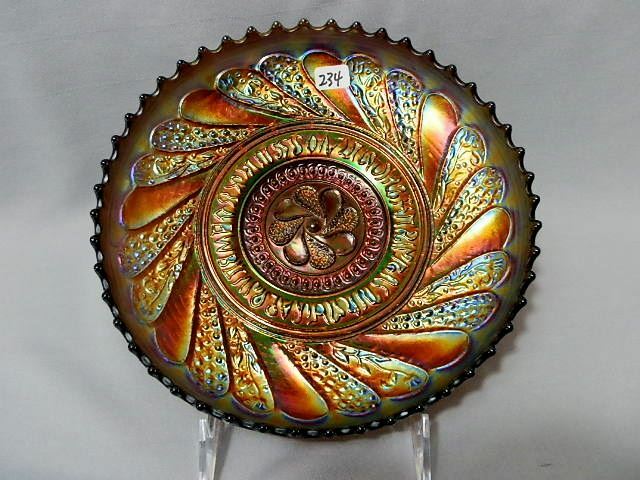 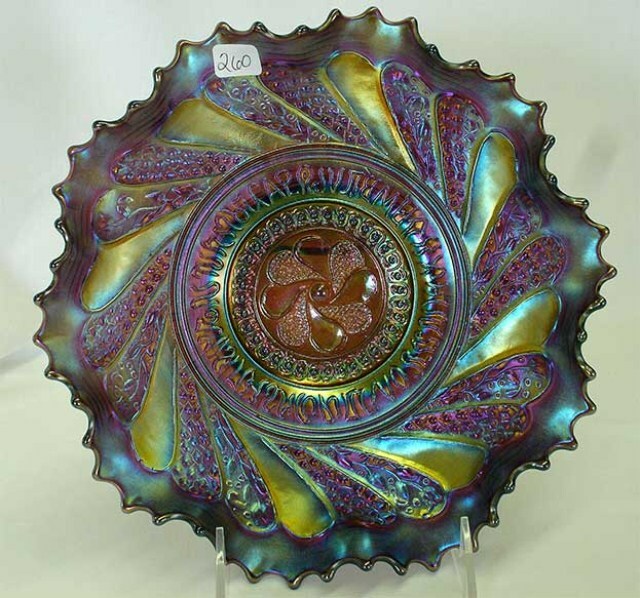 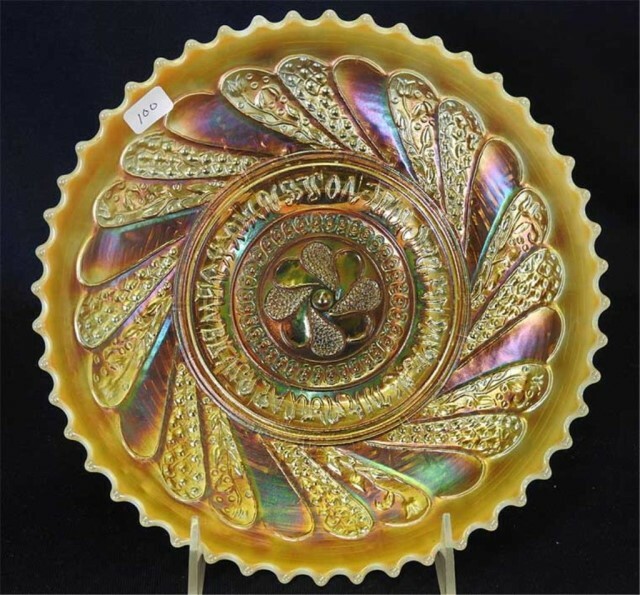 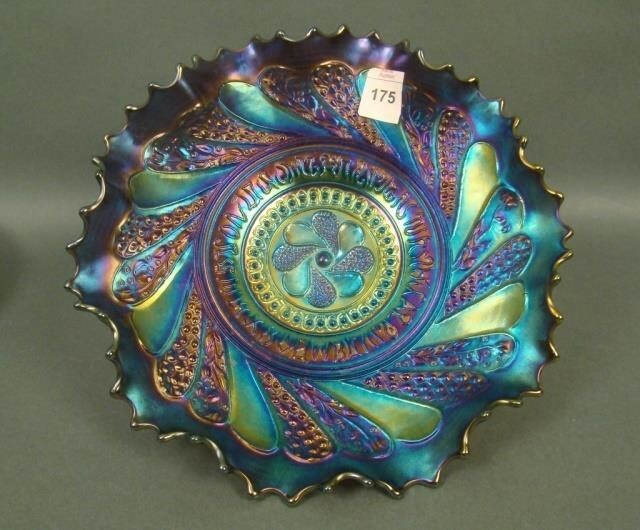 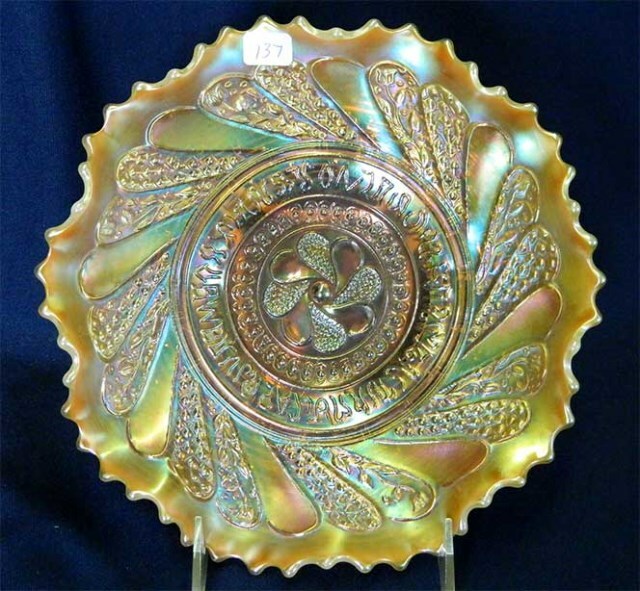 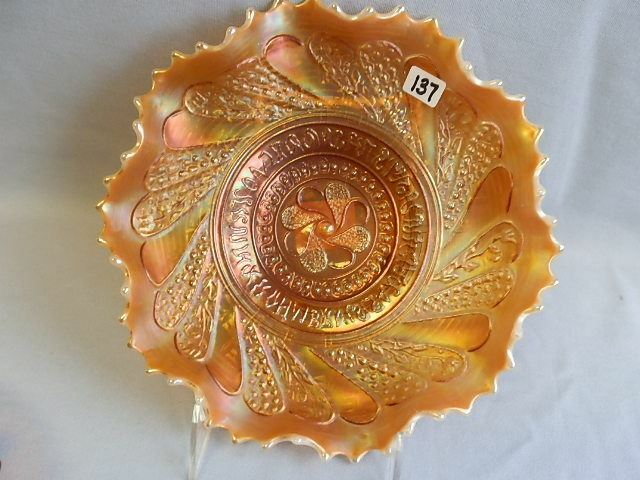 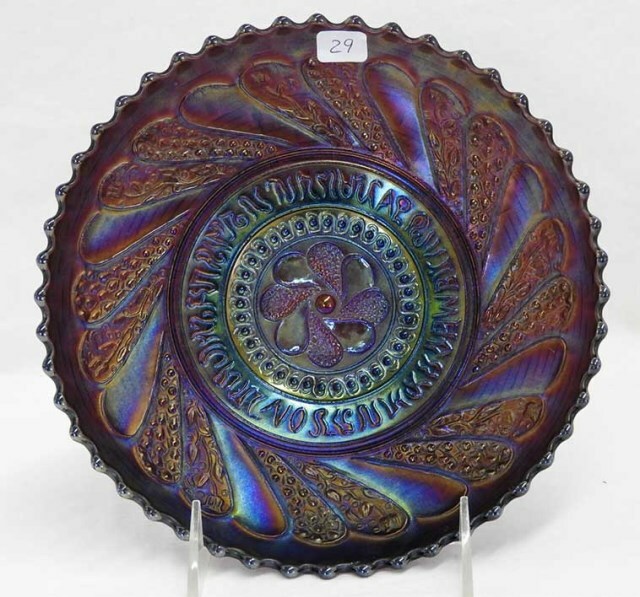 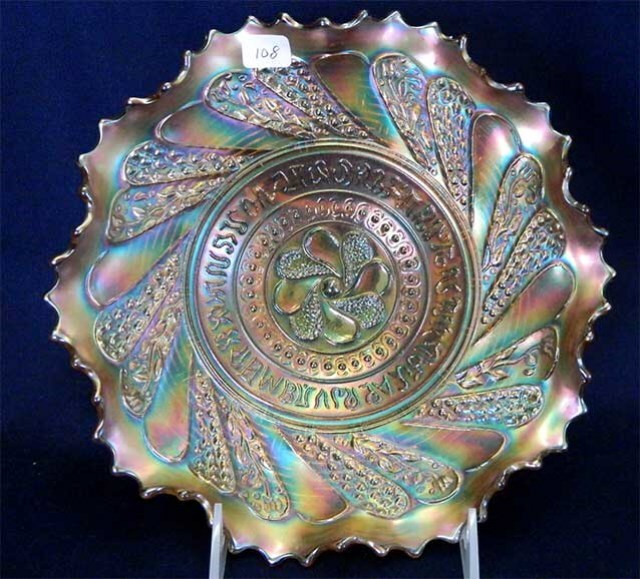 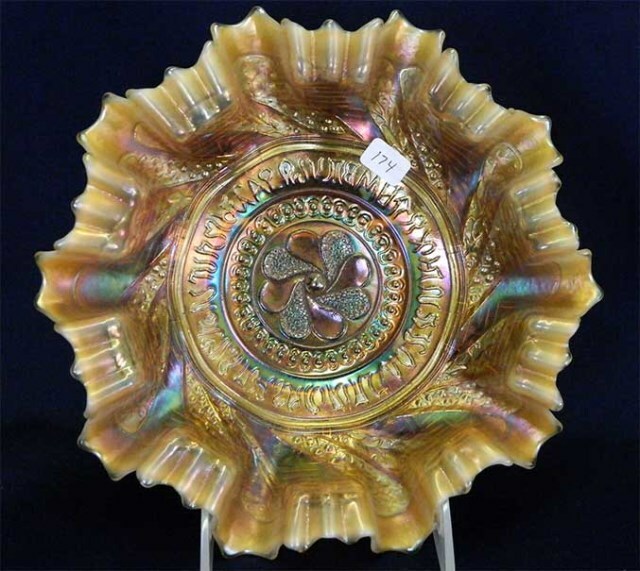 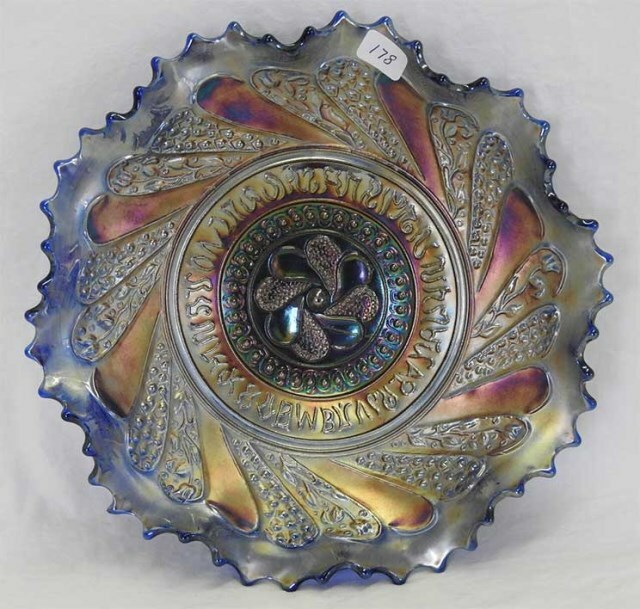 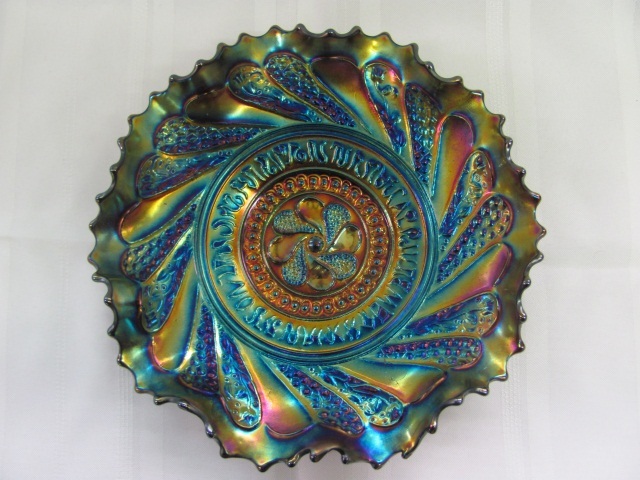 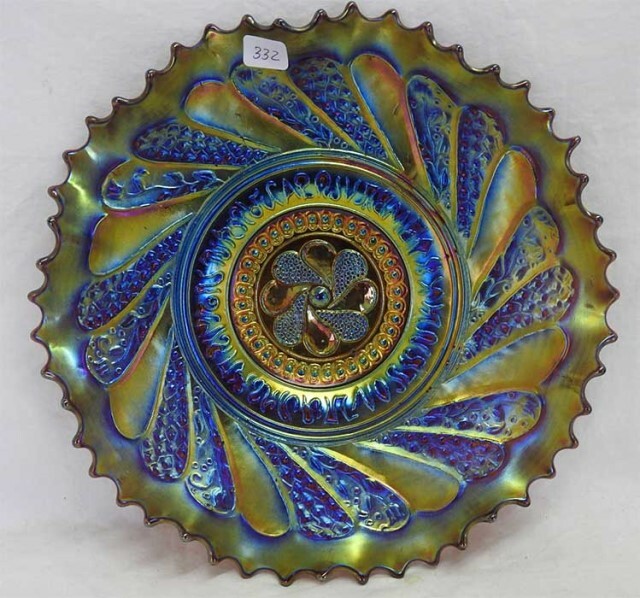 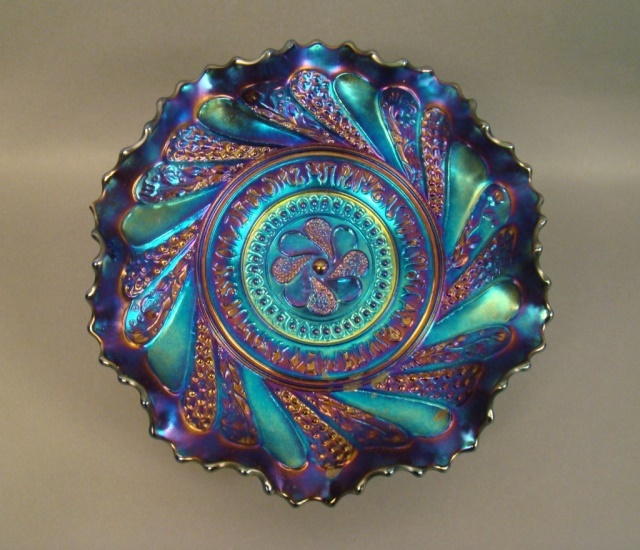 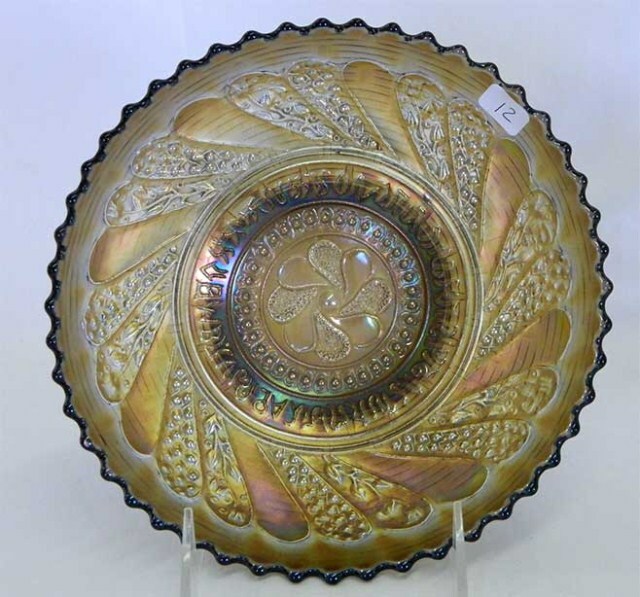 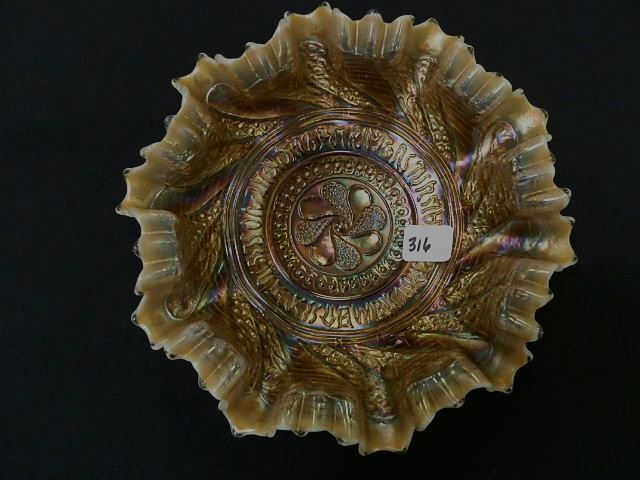 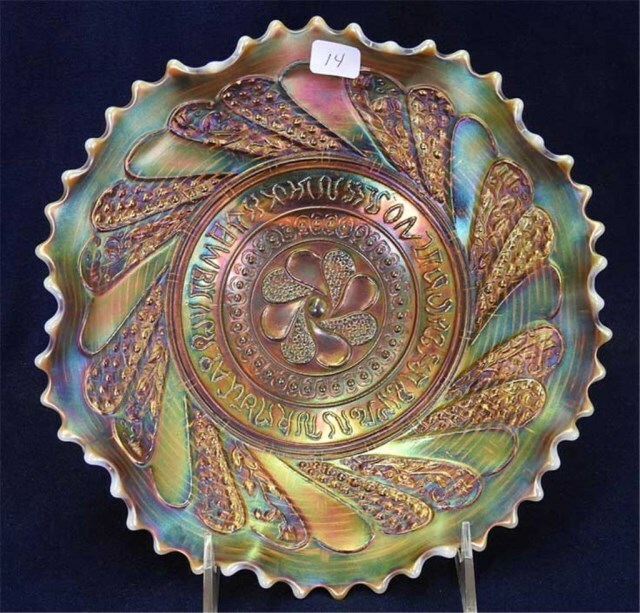 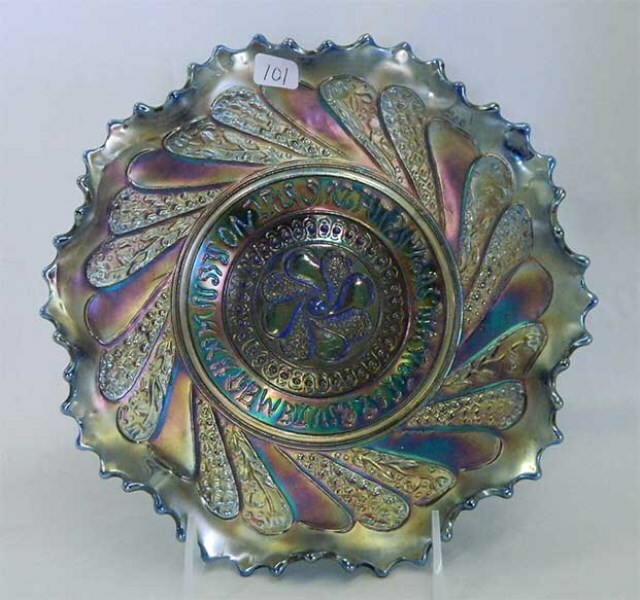 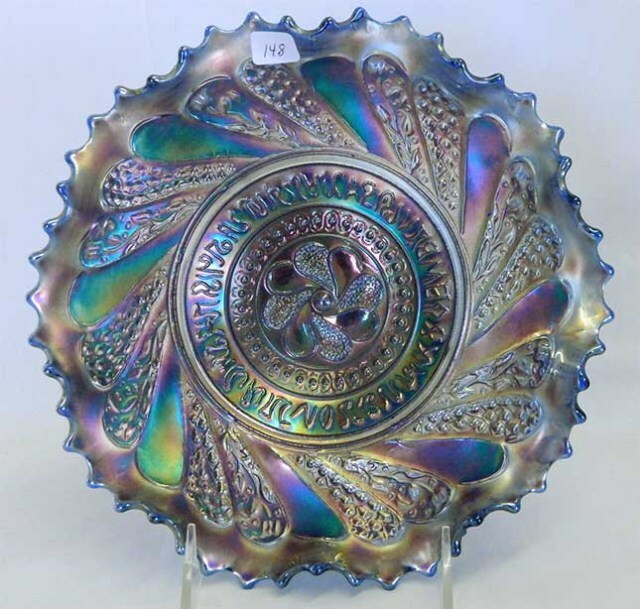 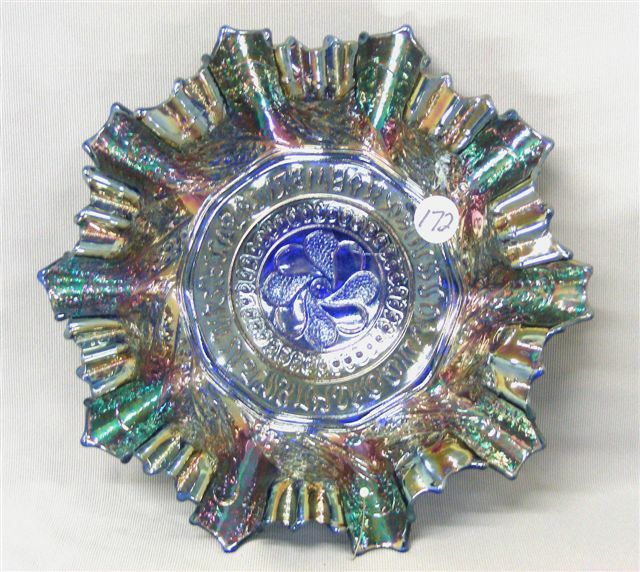 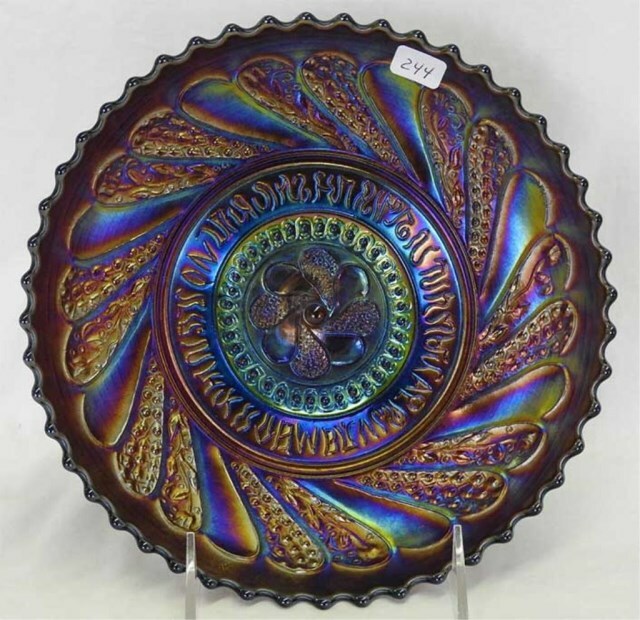 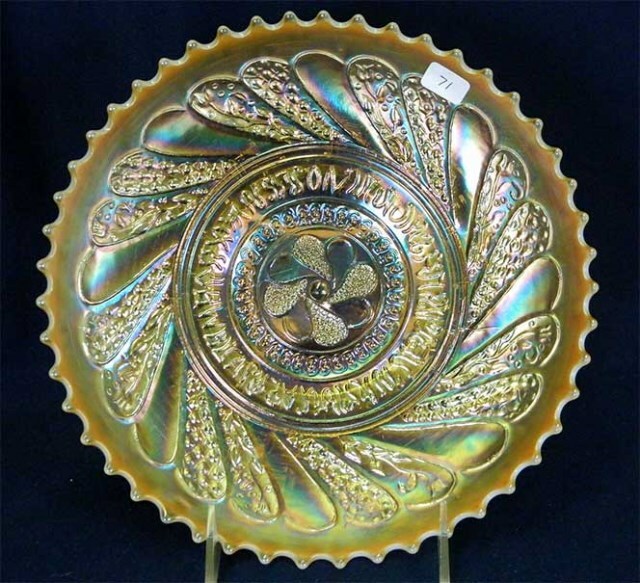 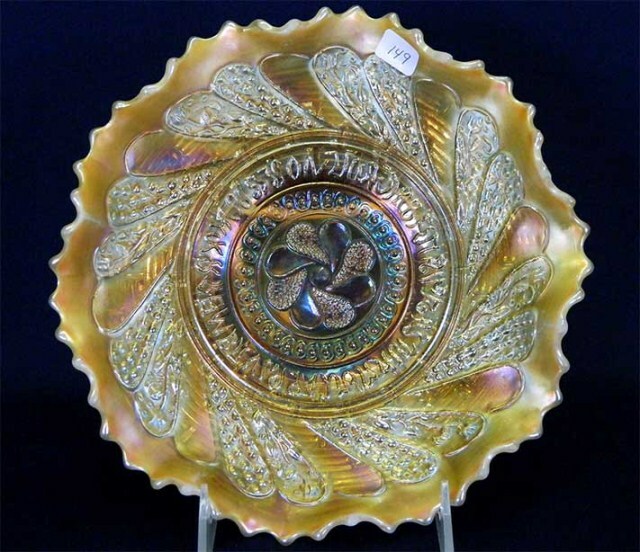 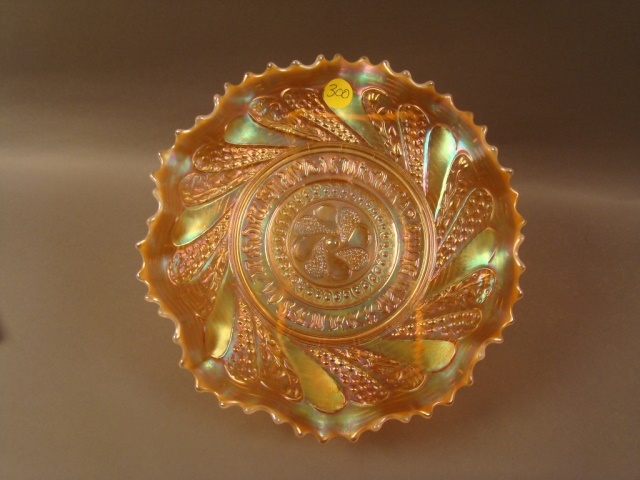 Ruffled bowls can sometimes be so low that collectors may consider them plates and are more desirable than the deeper ruffled examples. 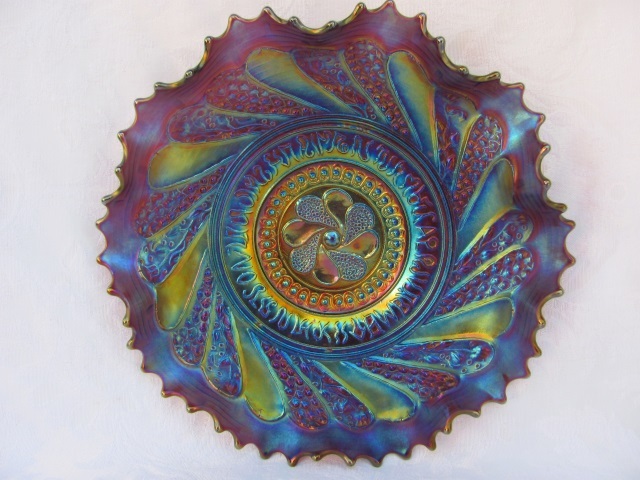 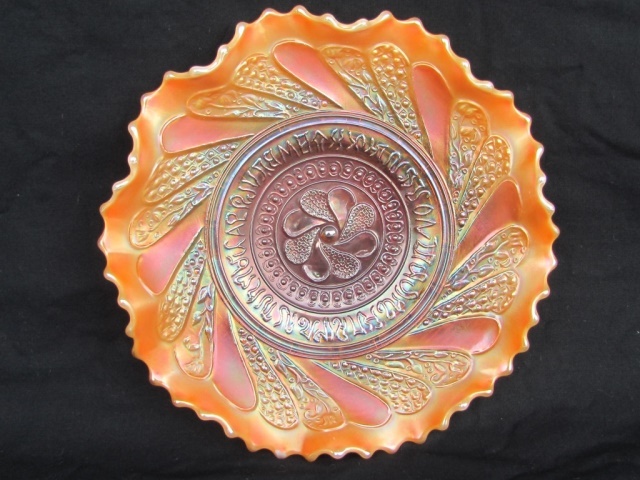 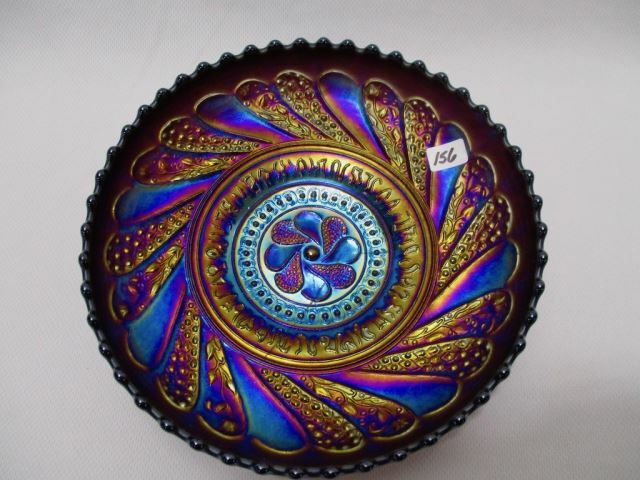 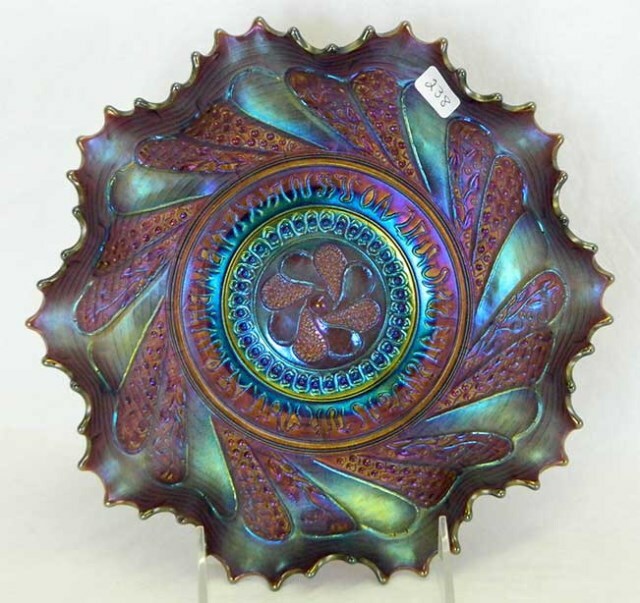 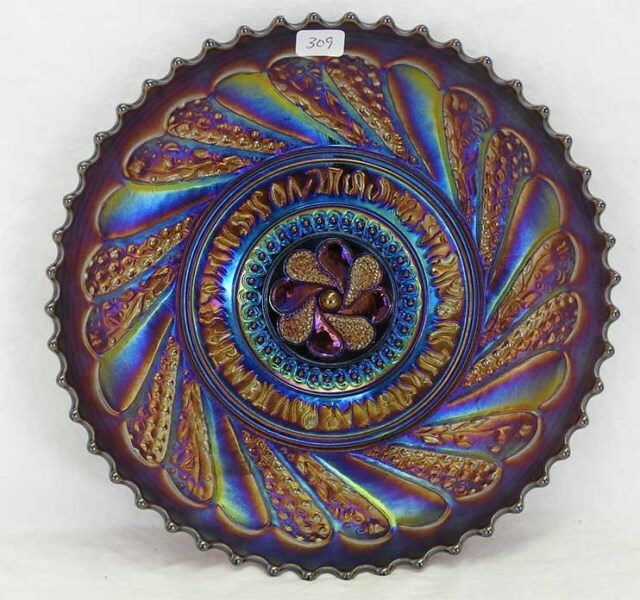 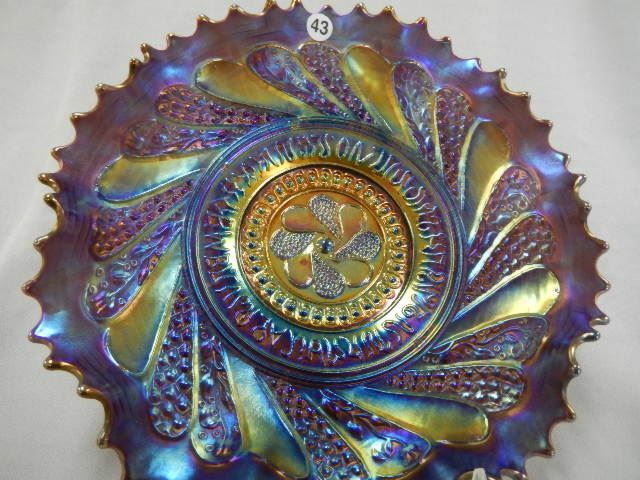 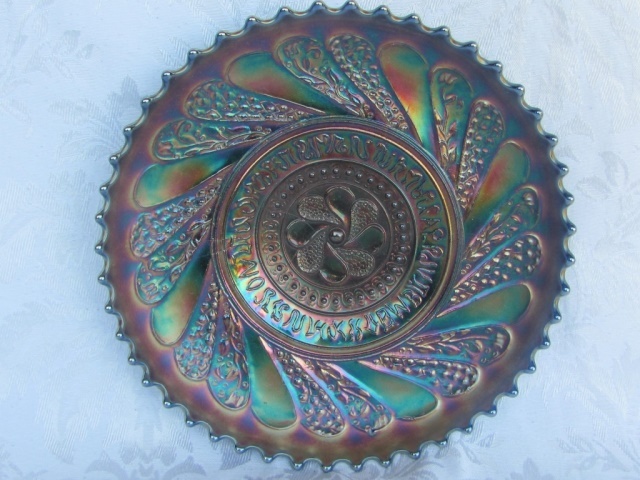 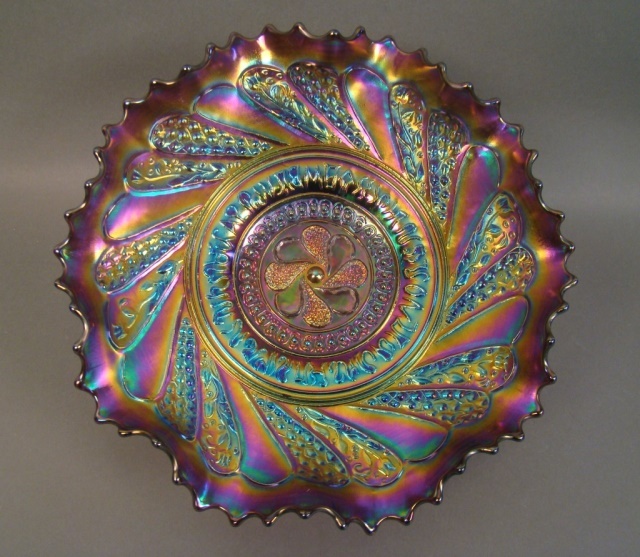 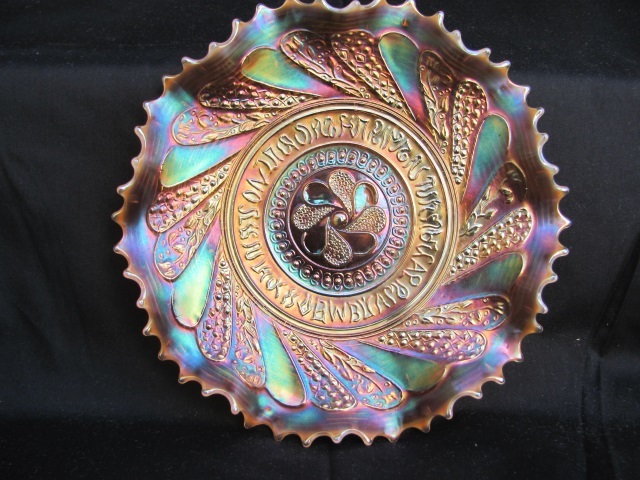 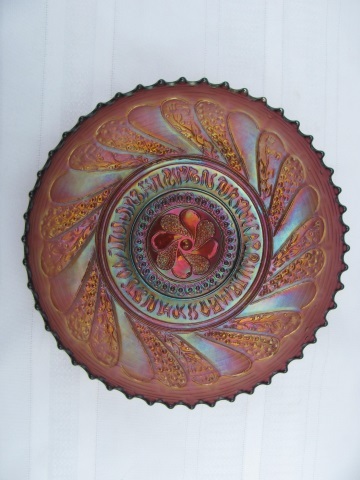 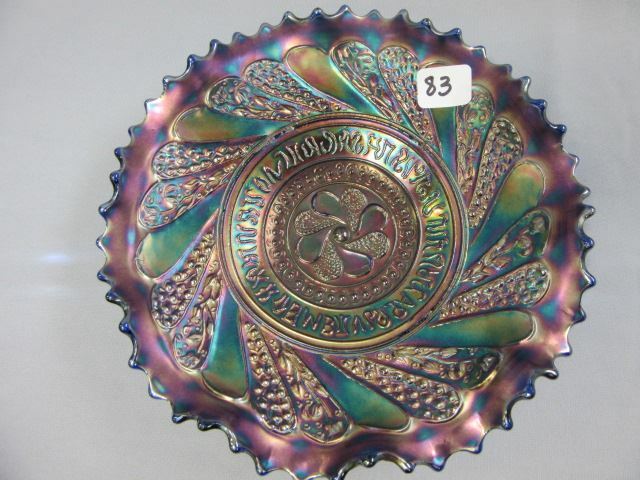 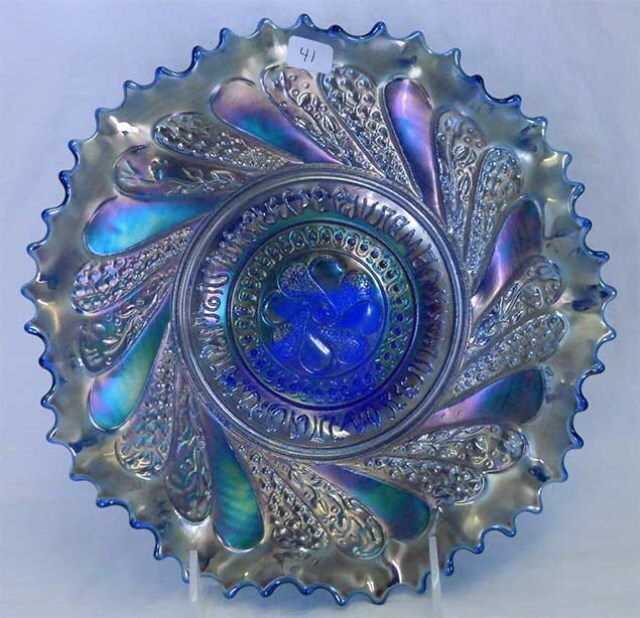 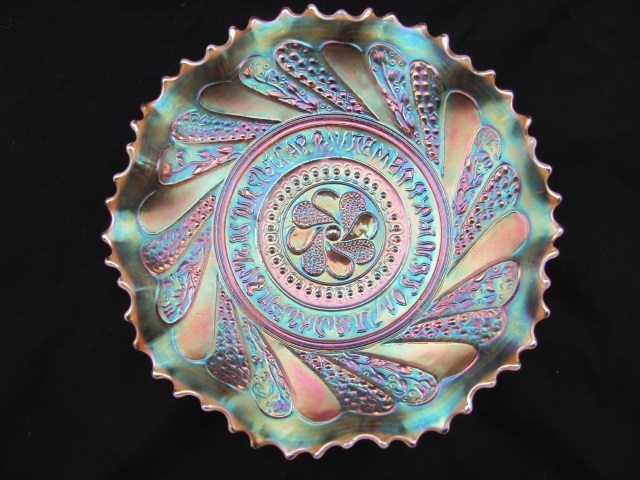 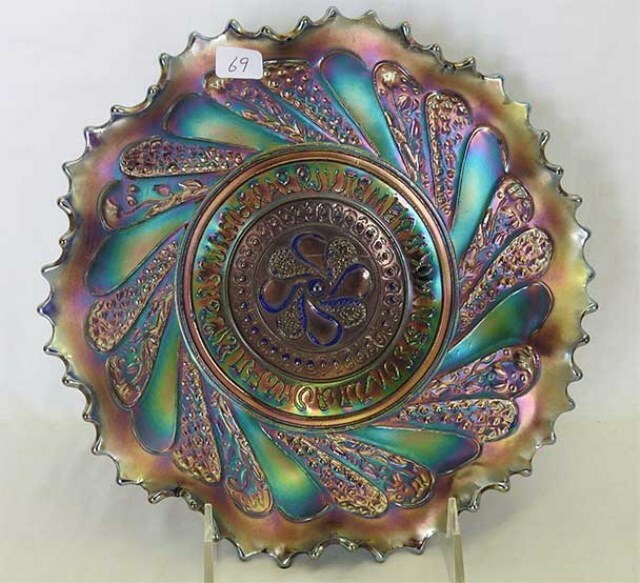 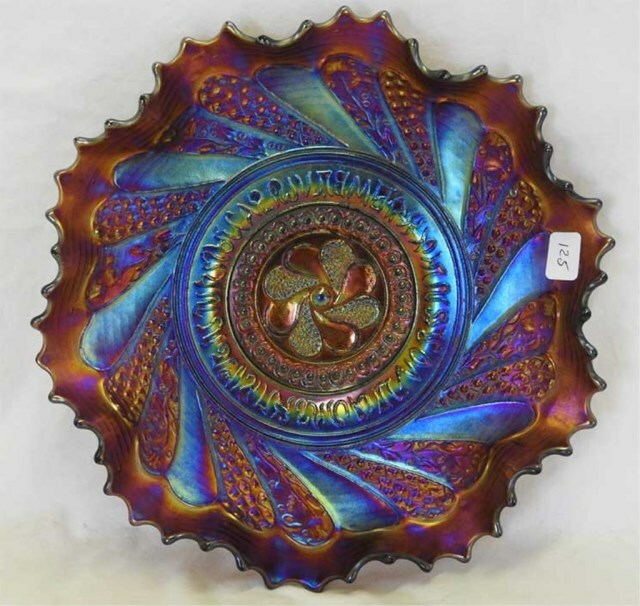 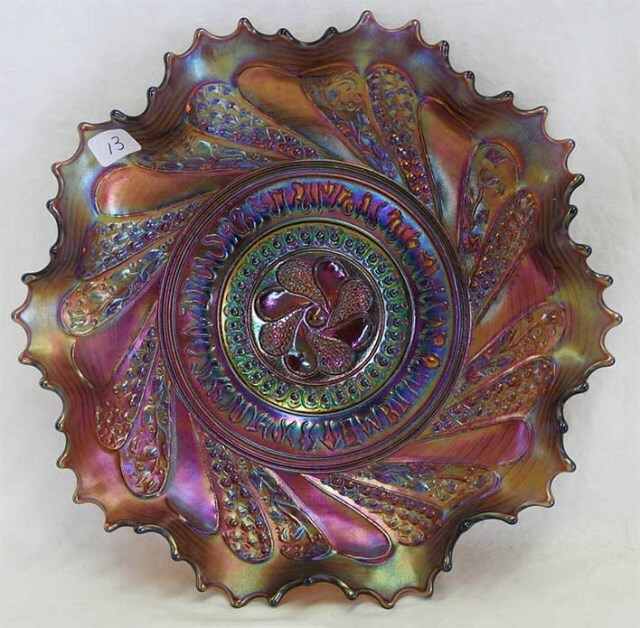 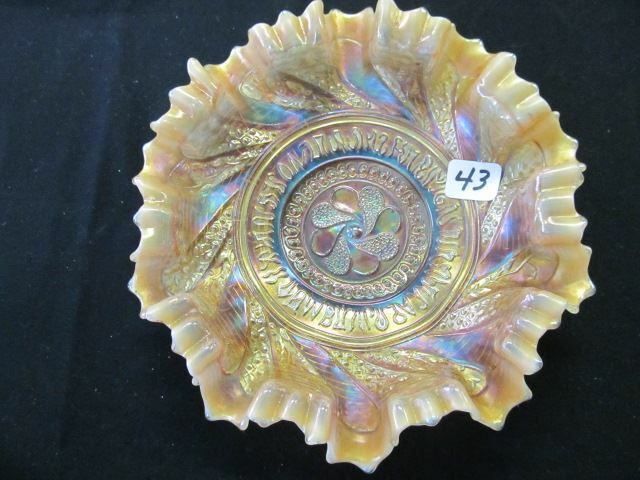 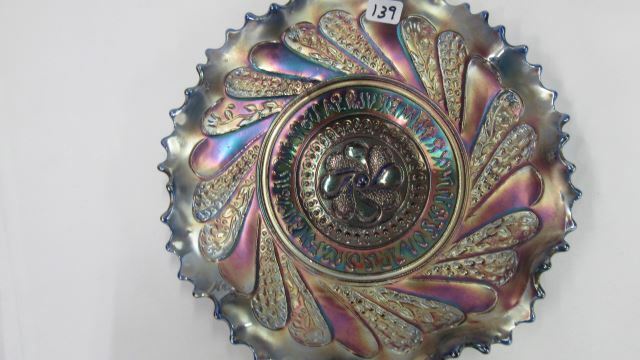 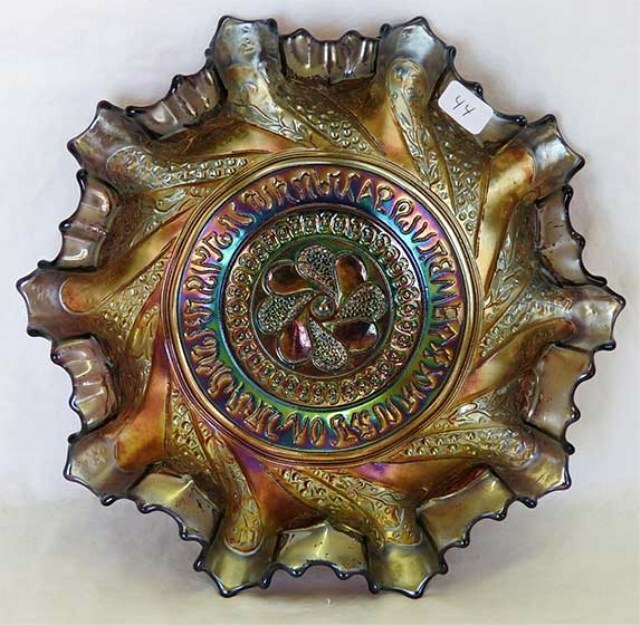 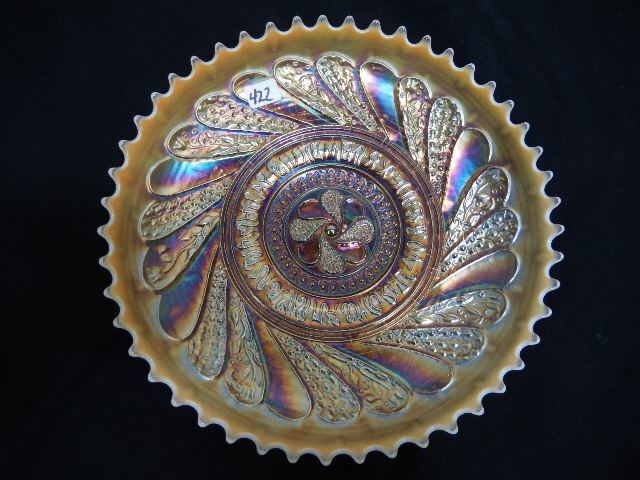 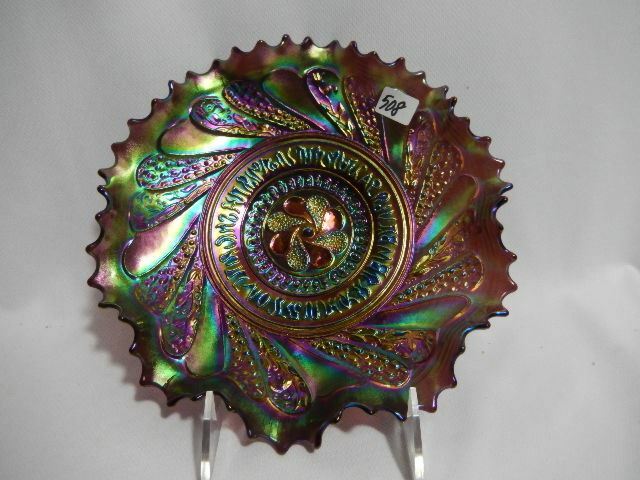 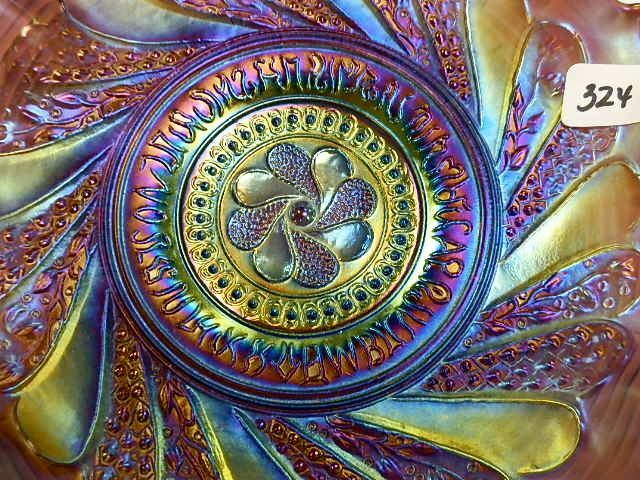 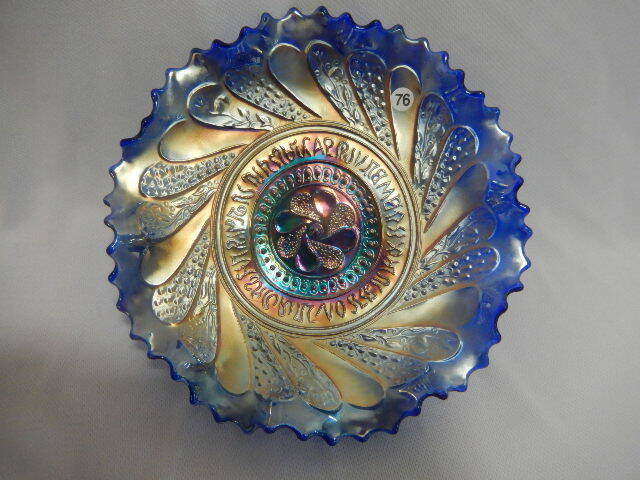 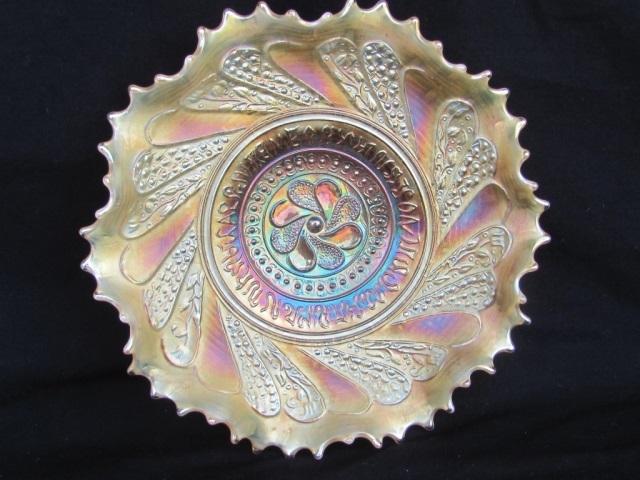 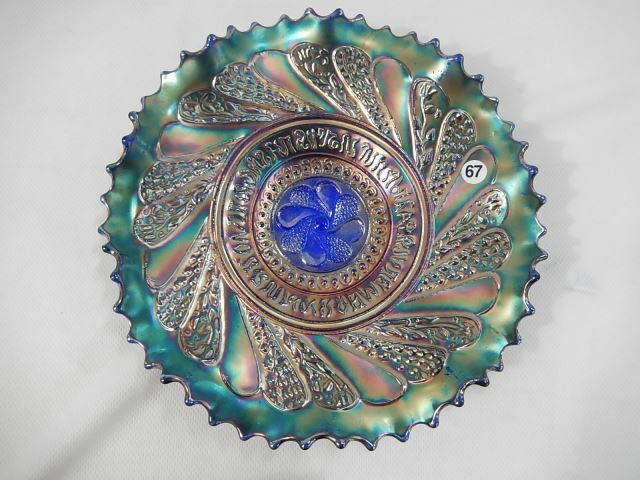 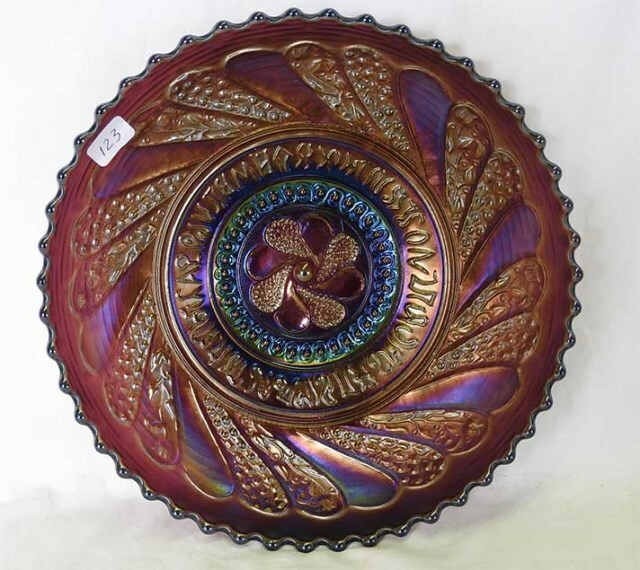 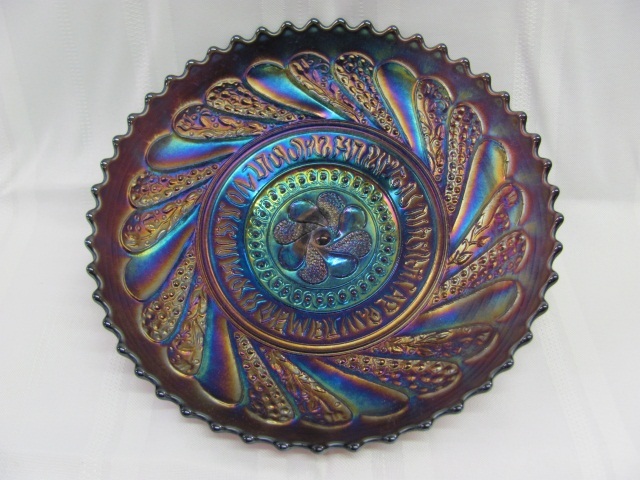 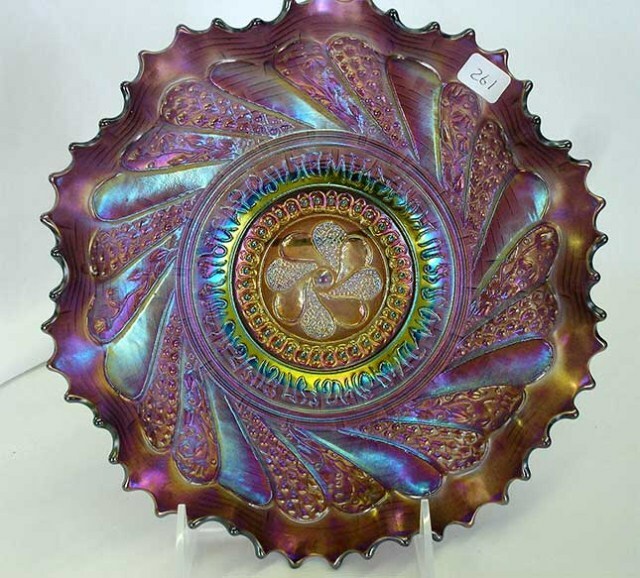 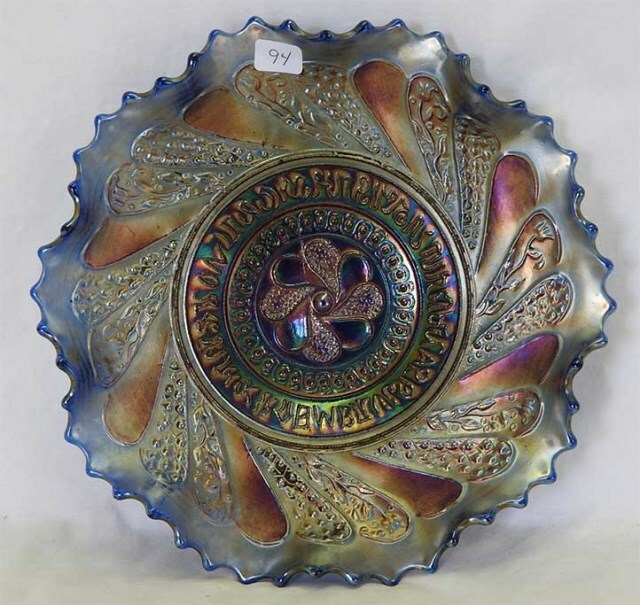 The amethyst bowl shown here is such a piece.